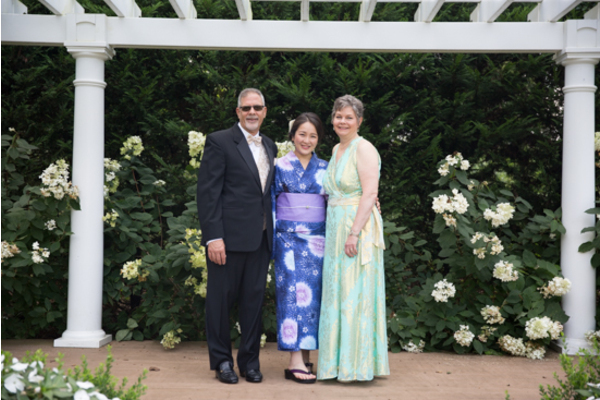 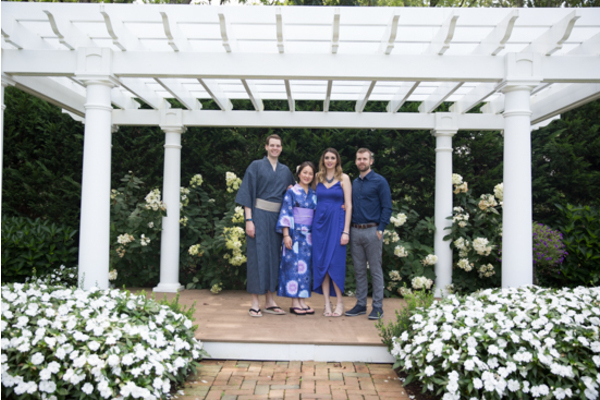 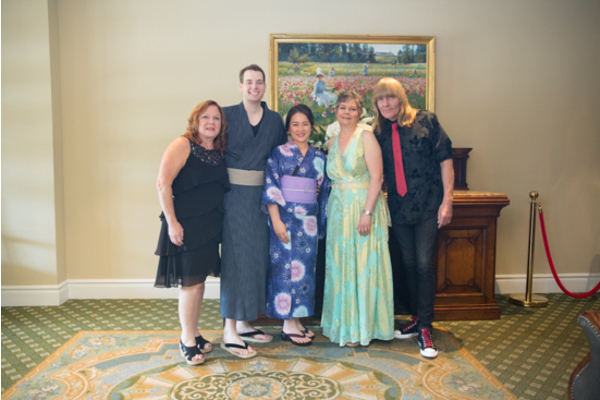 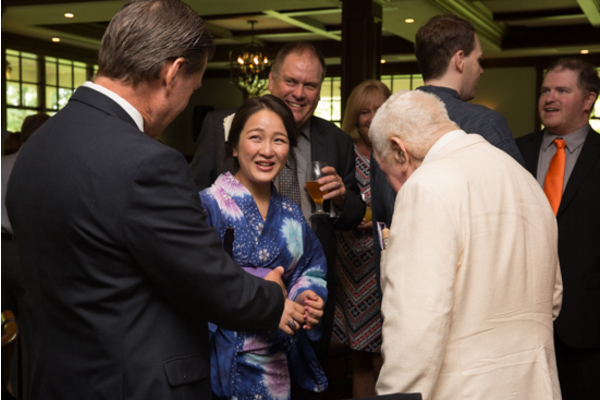 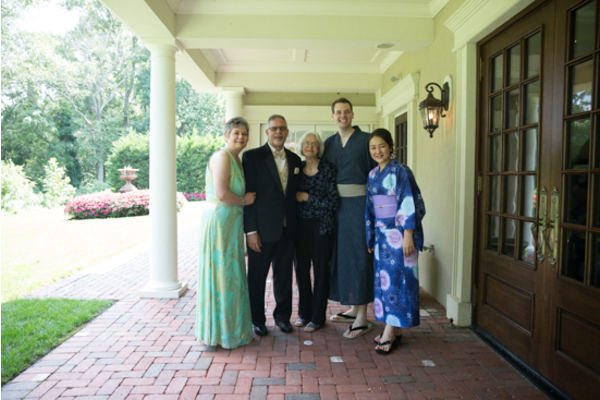 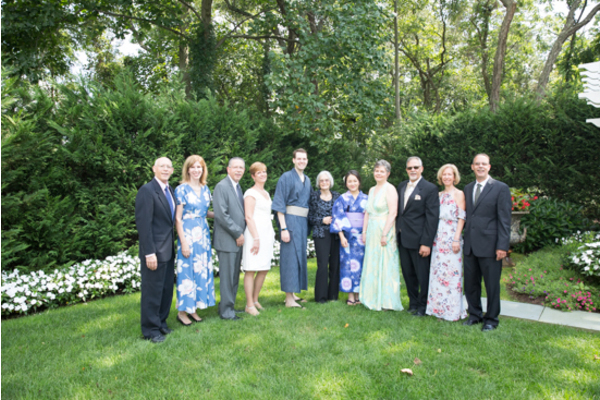 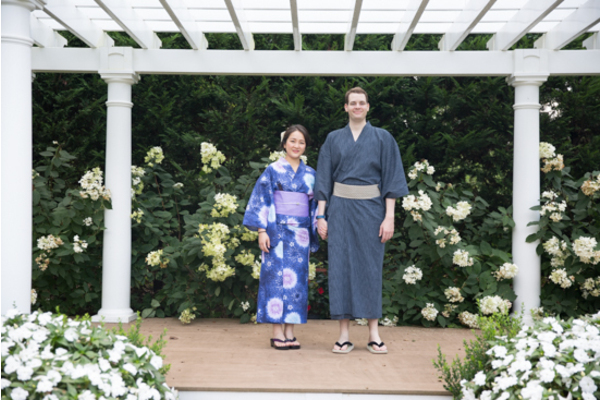 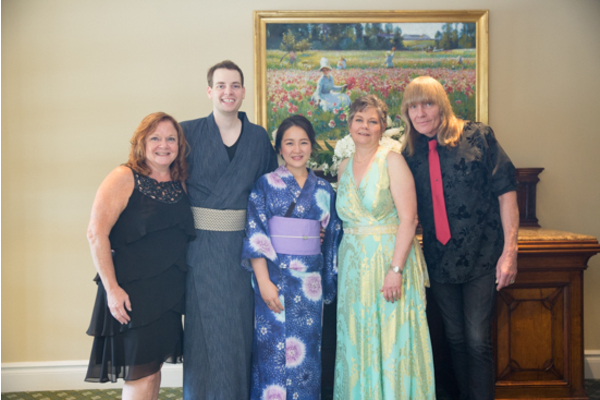 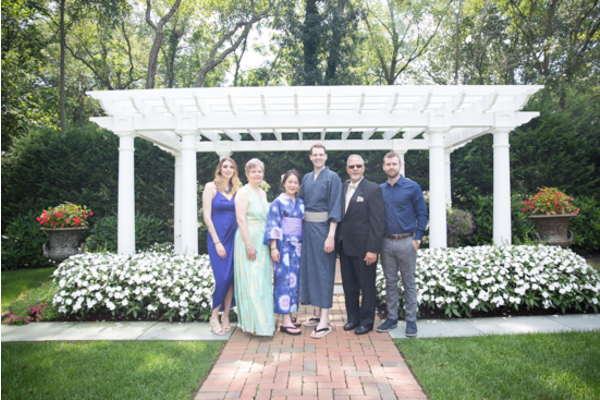 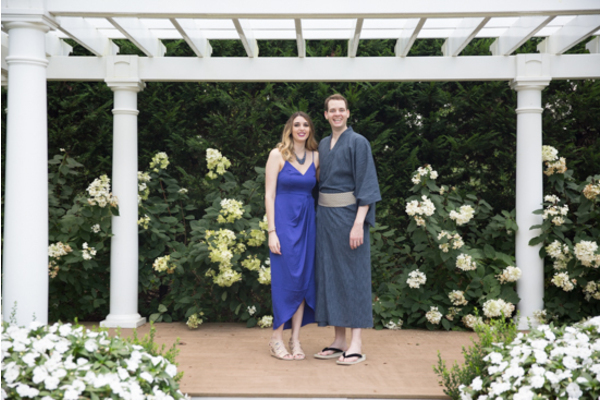 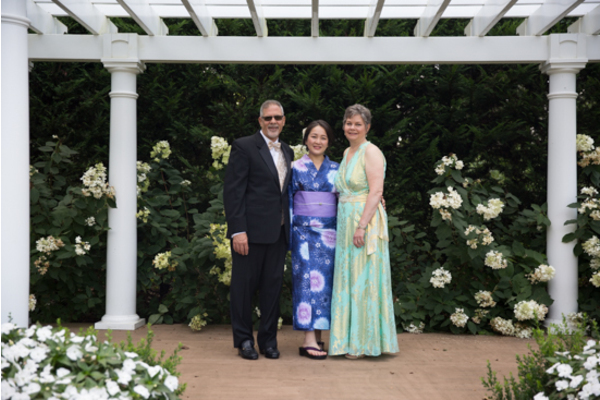 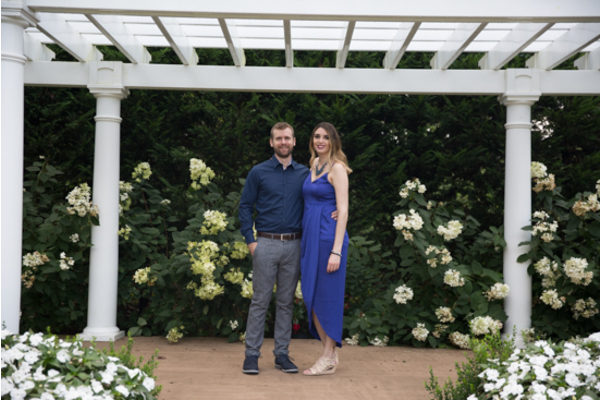 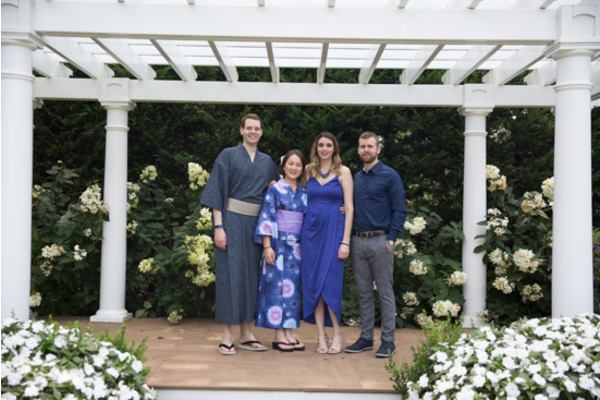 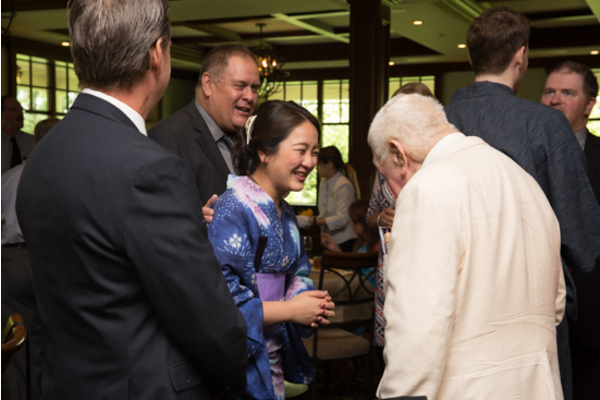 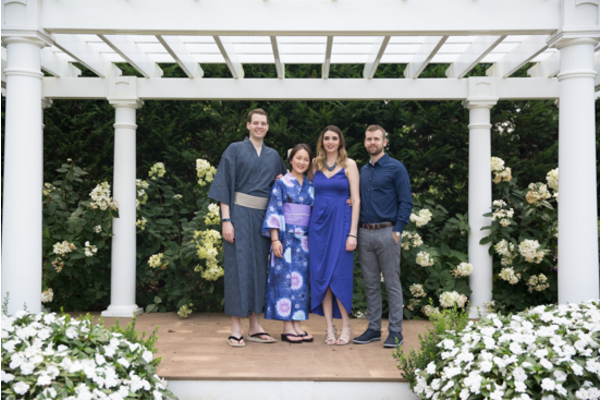 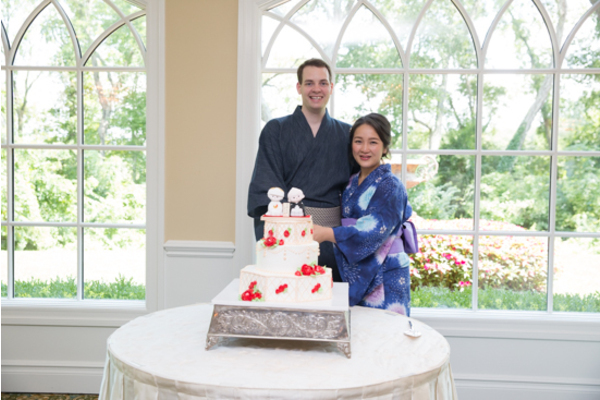 Congratulations to the newlyweds, Ikumi and Daniel, for celebrating their wedding on a beautiful summer day at the Bradford Estate! 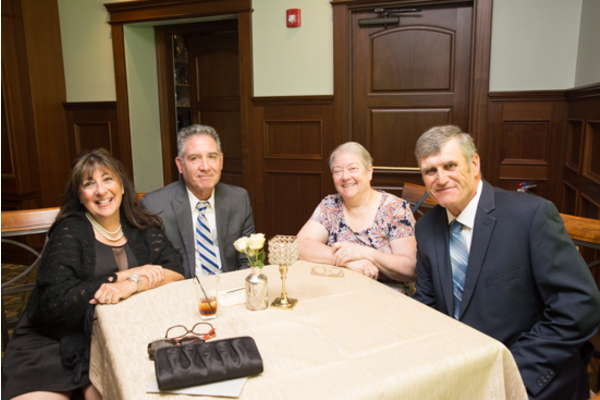 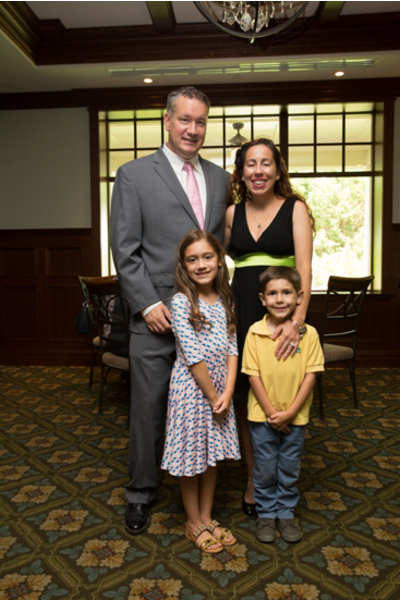 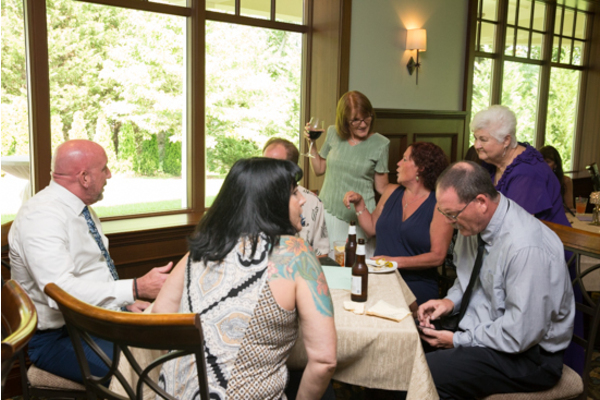 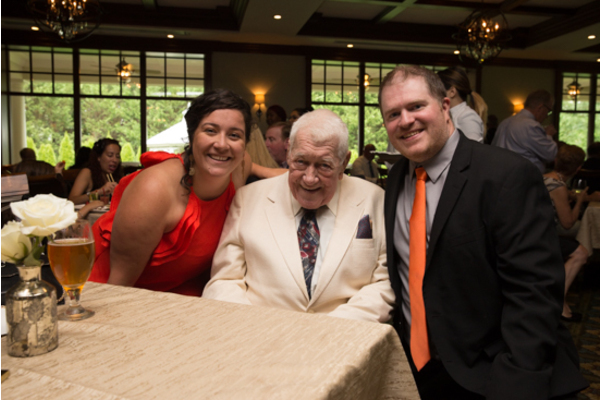 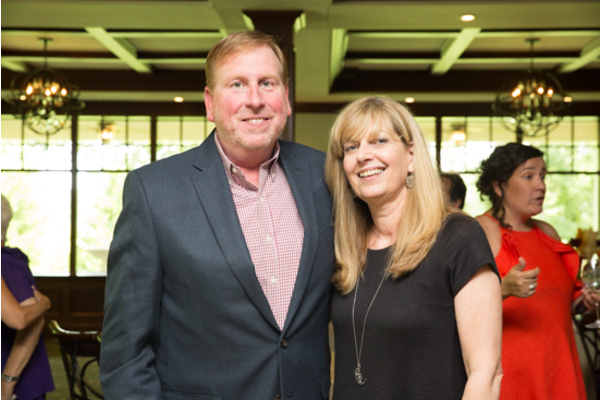 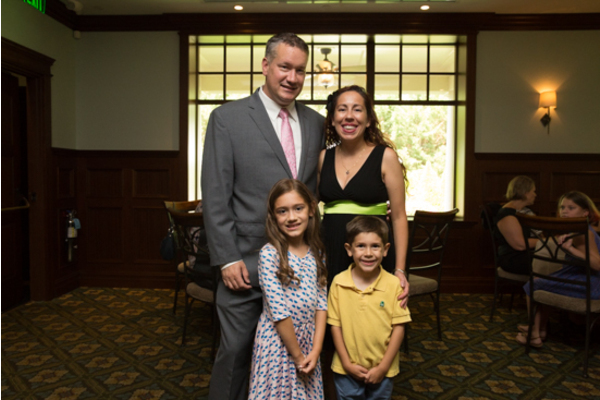 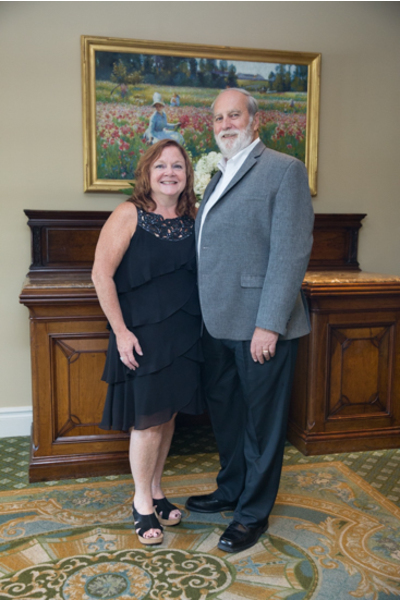 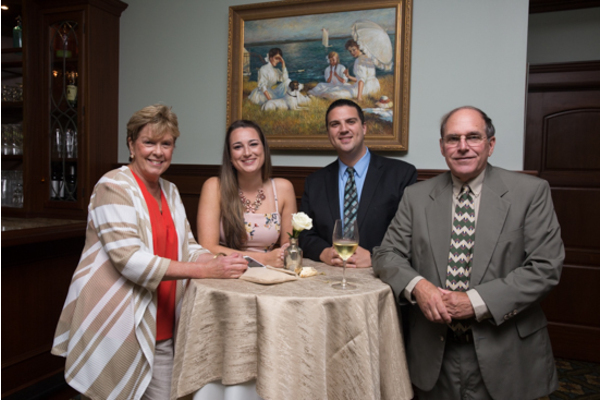 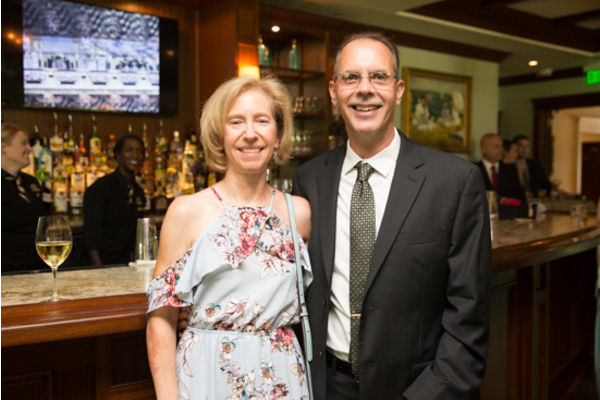 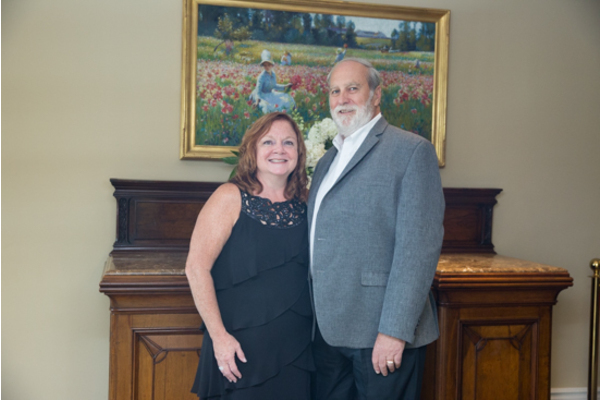 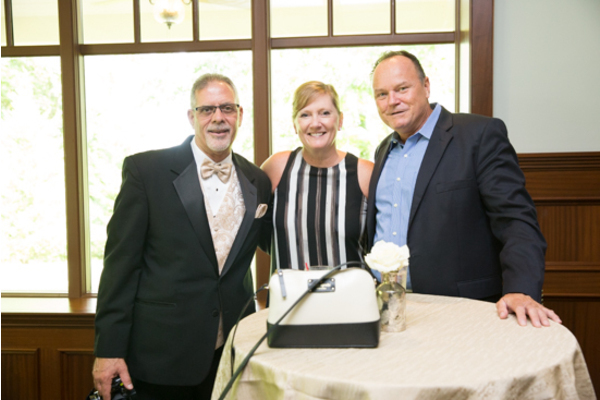 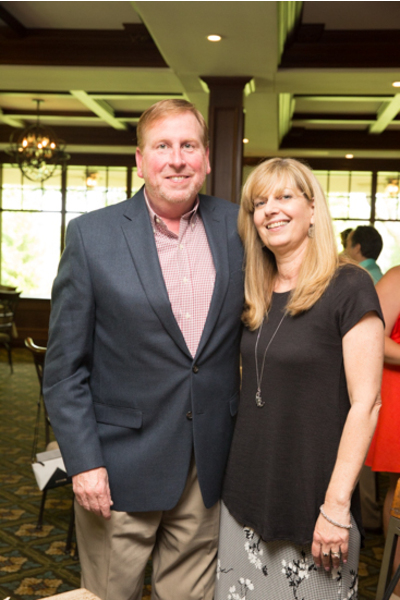 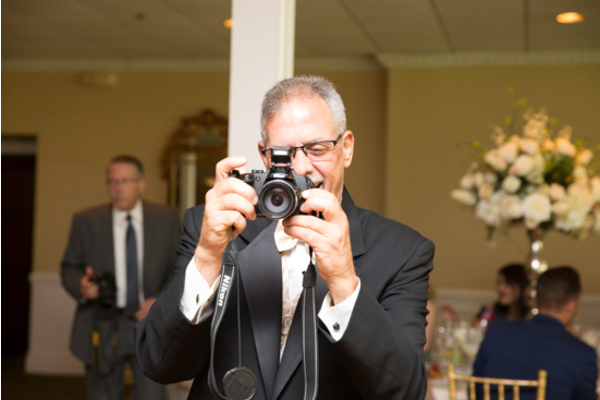 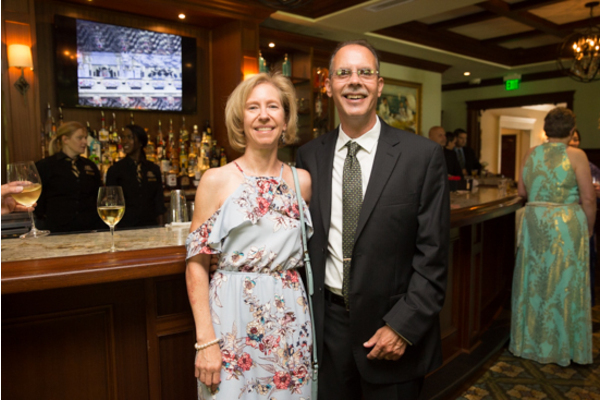 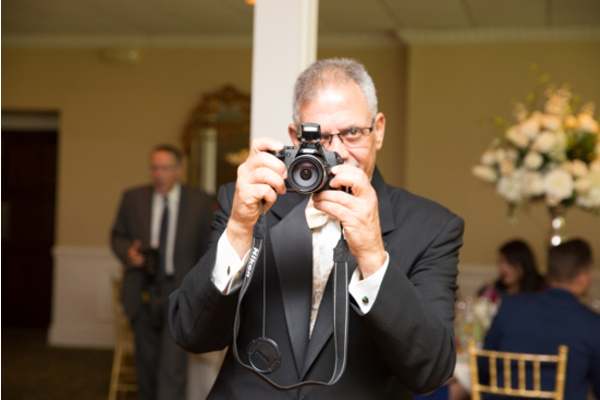 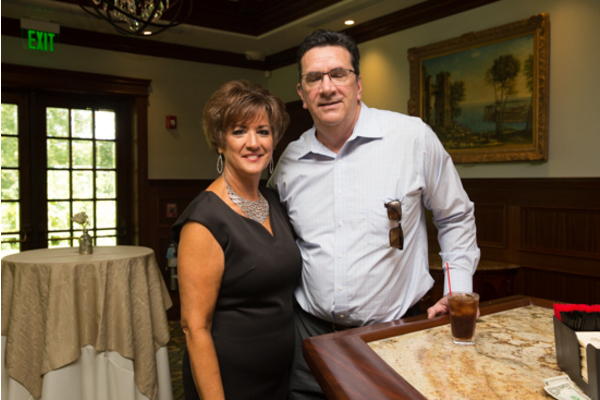 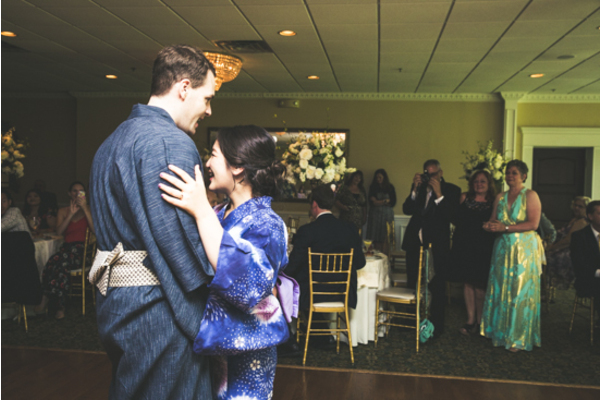 This happy couple was grinning from ear to ear as our NJ Wedding Photographer captured all of the beautiful memories being made. 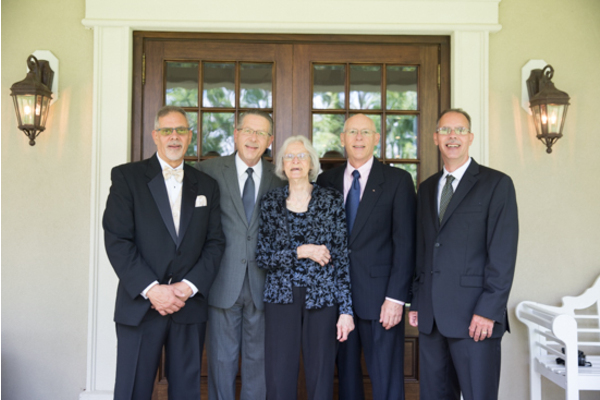 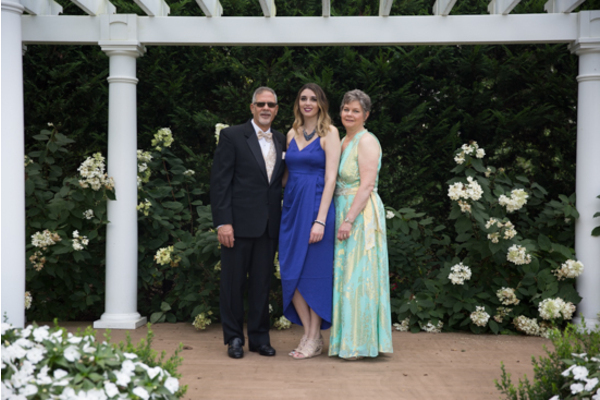 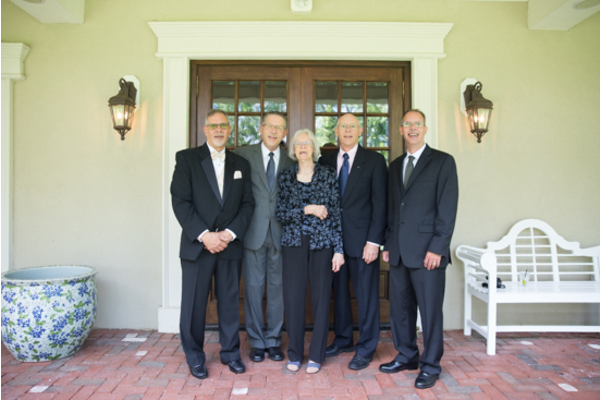 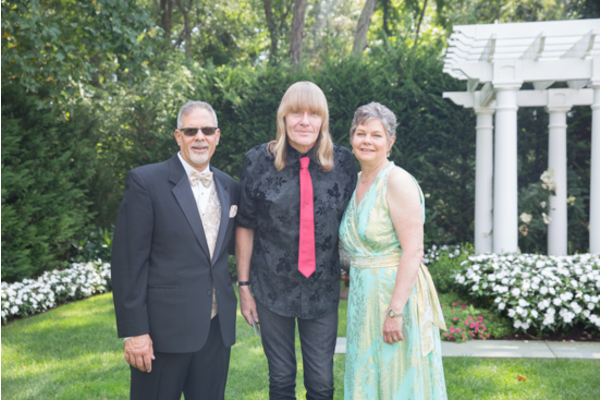 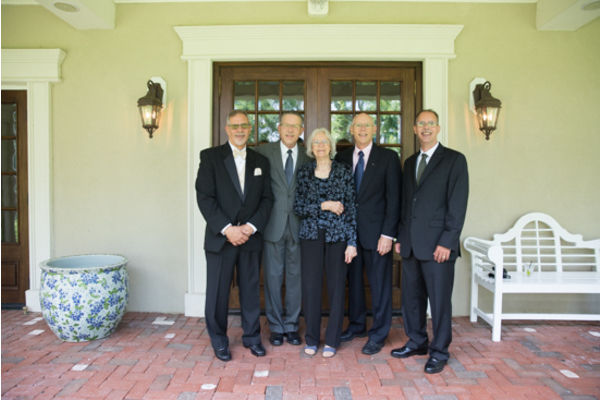 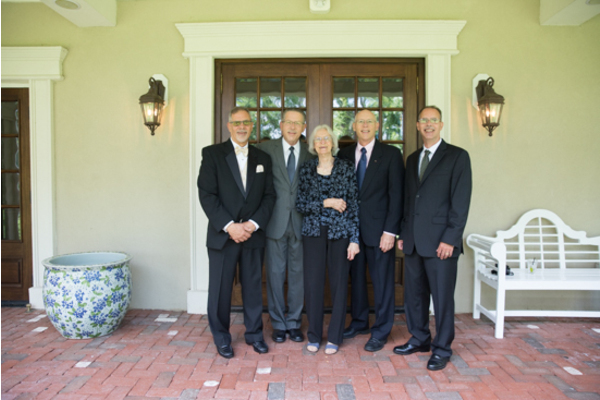 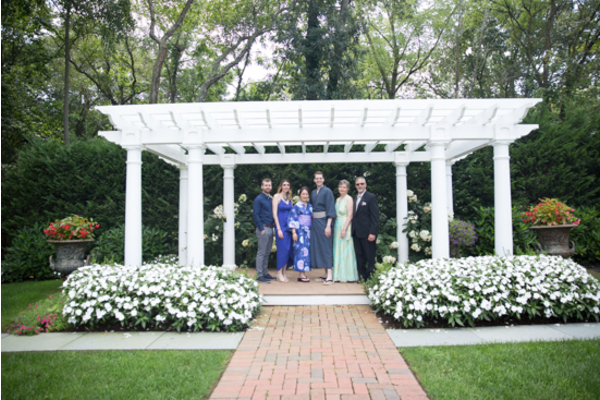 The couple took pictures outside with their closest family and friends before the reception. 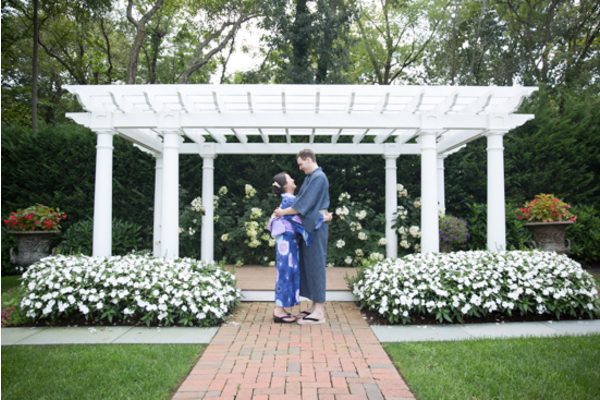 Ikumi and Daniel looked incredible together by all of the greenery and nature! 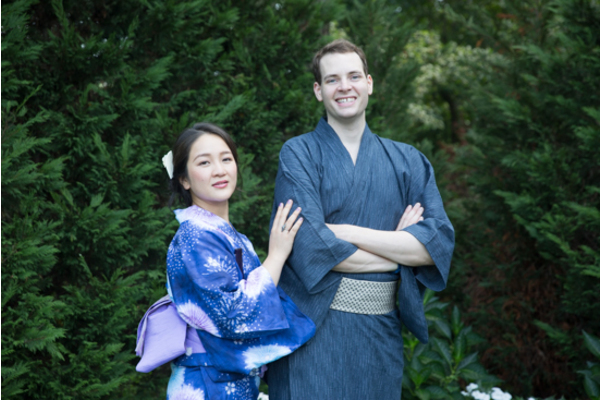 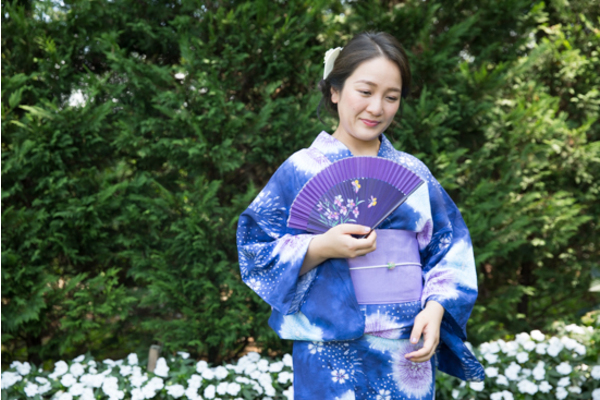 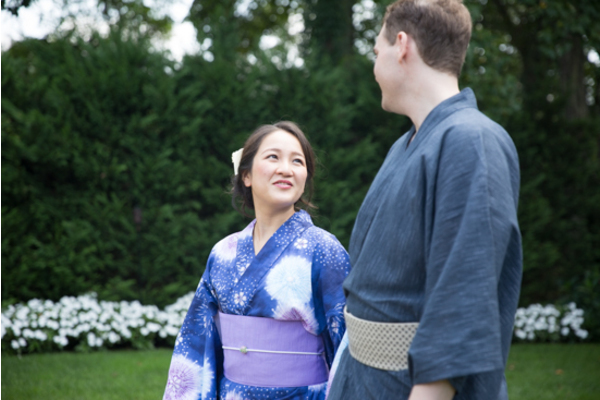 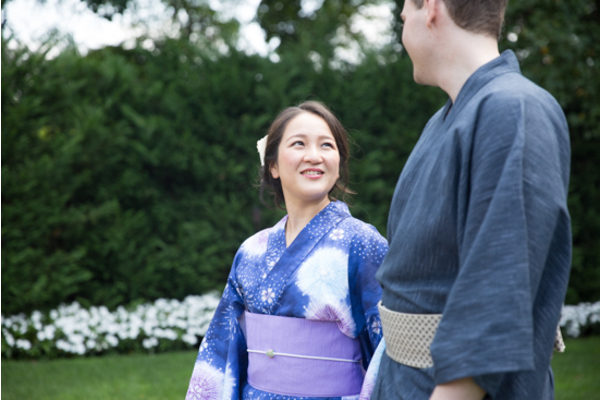 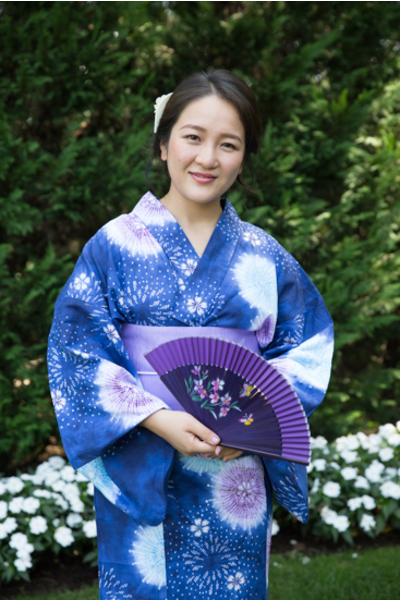 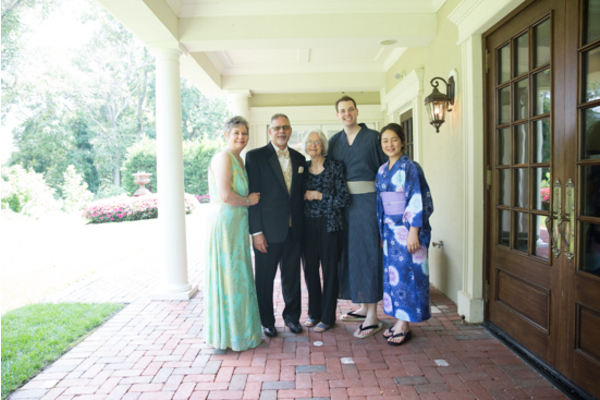 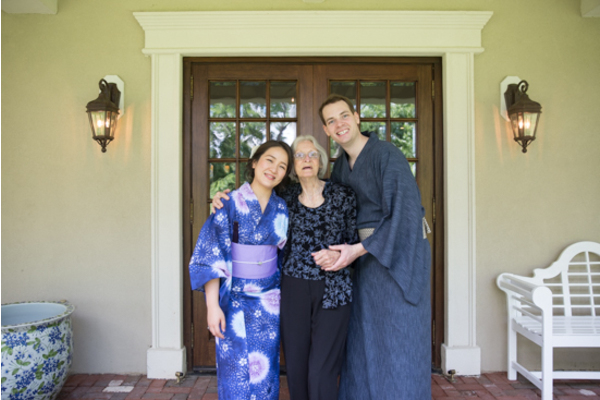 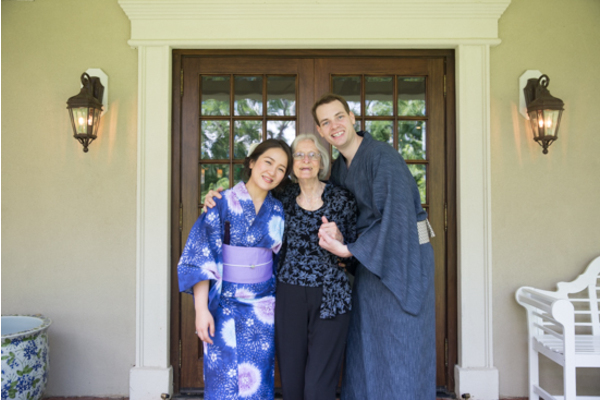 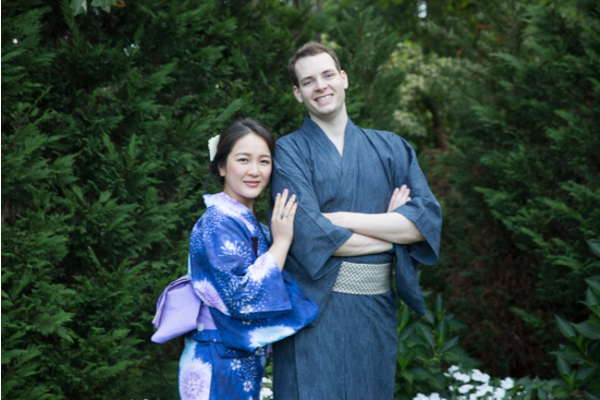 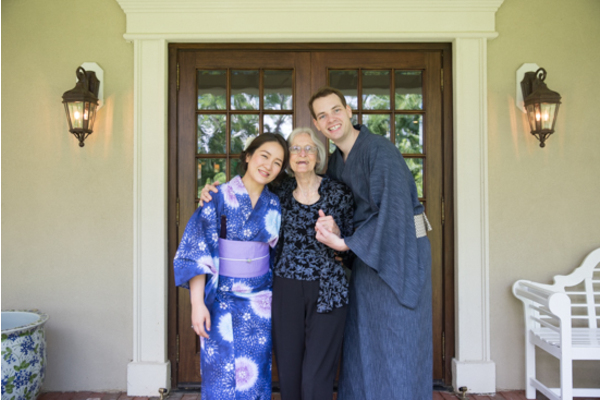 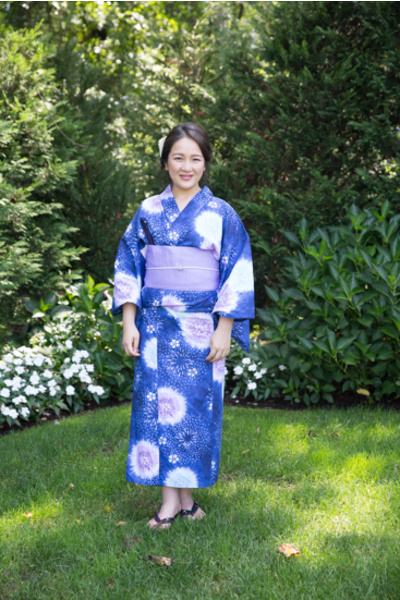 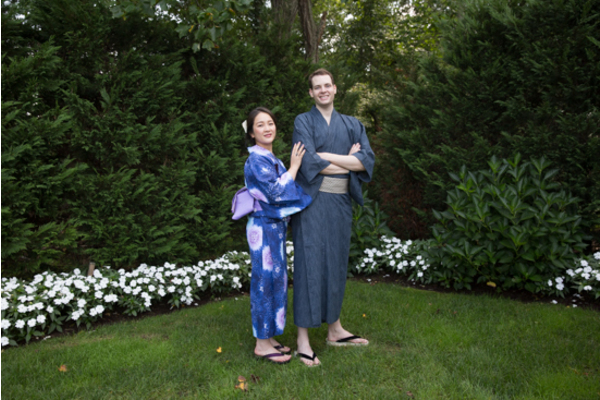 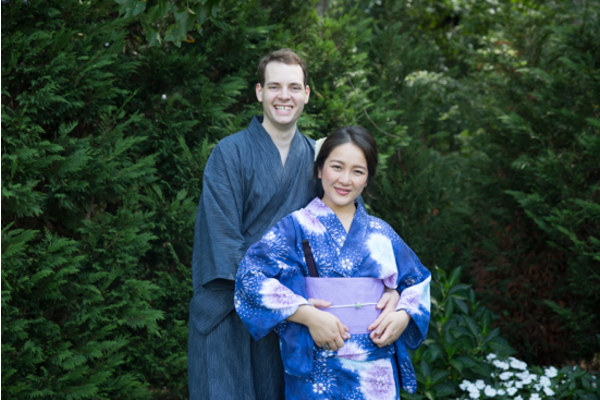 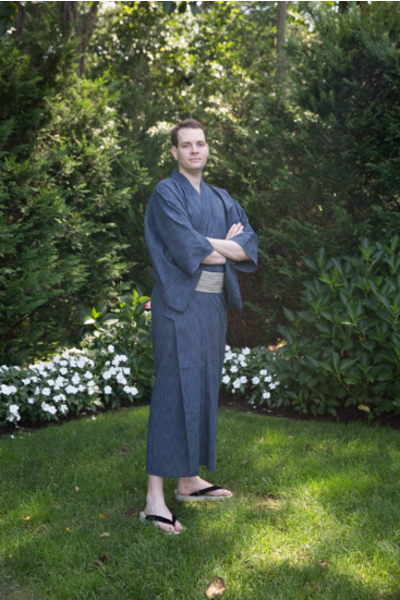 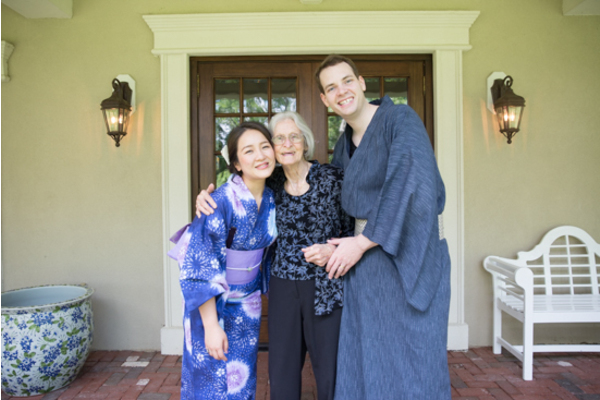 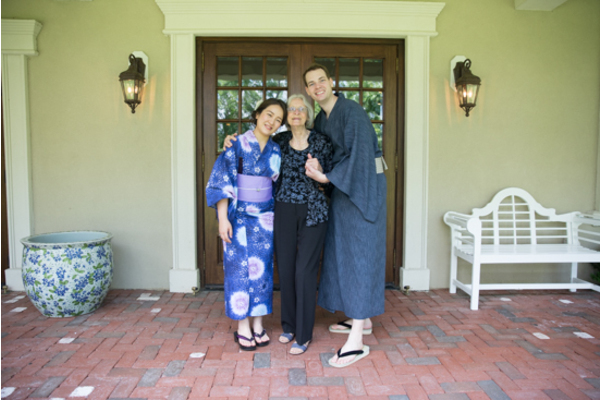 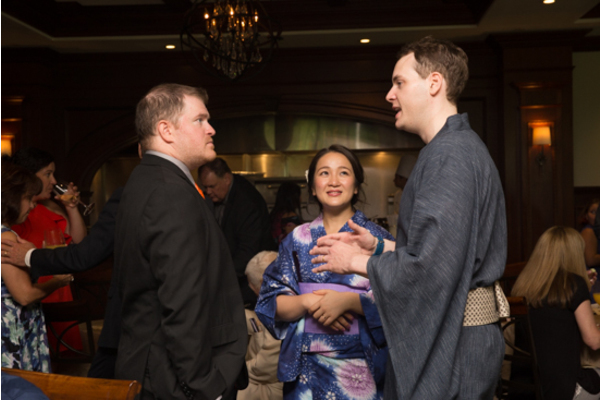 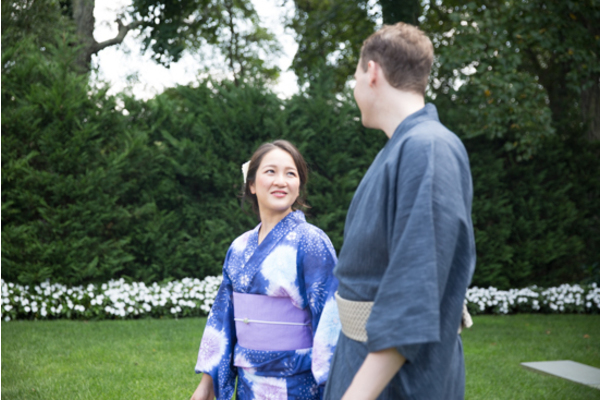 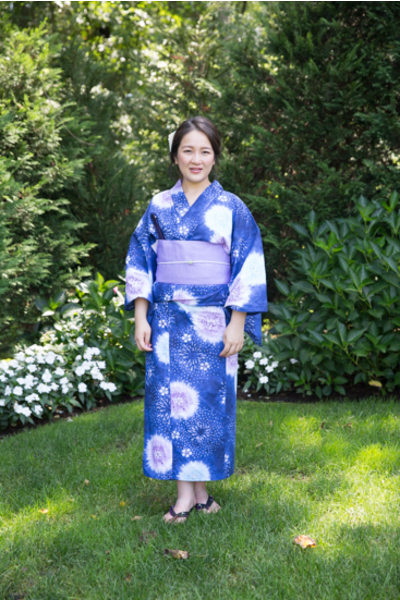 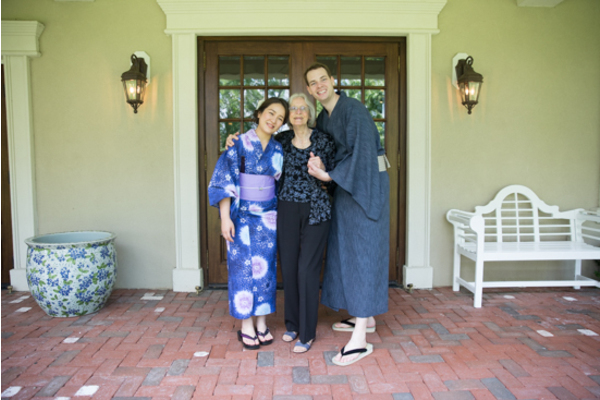 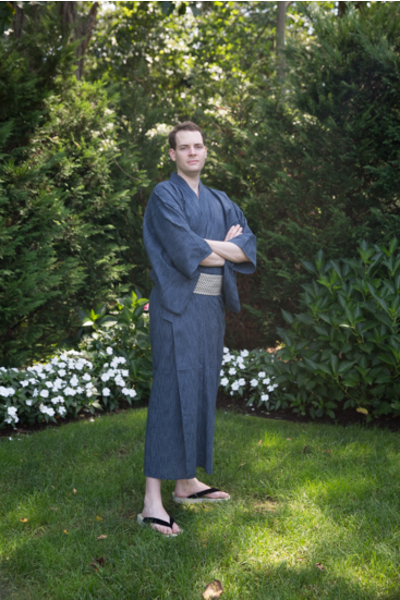 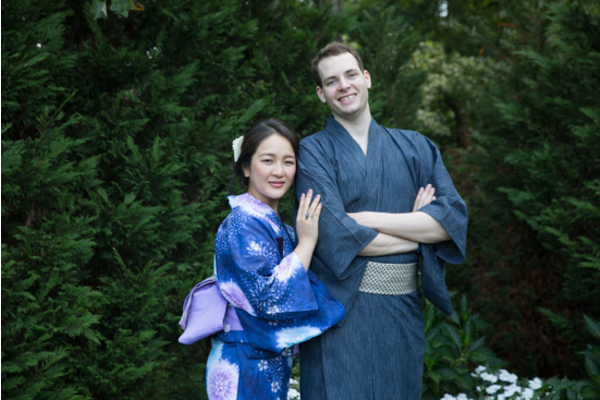 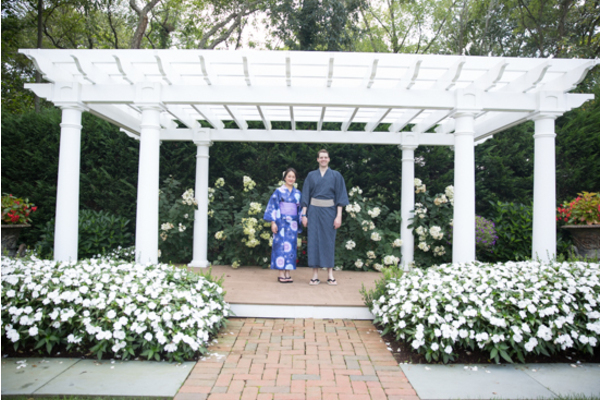 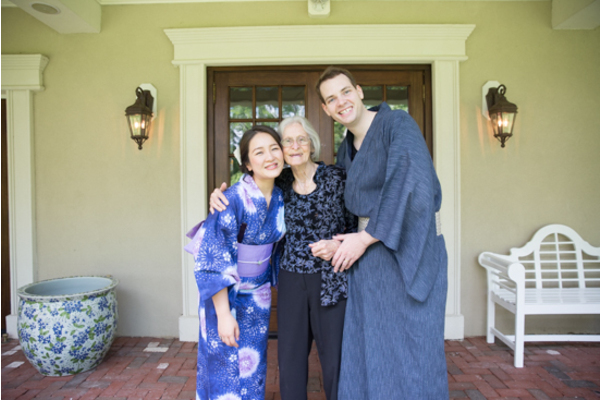 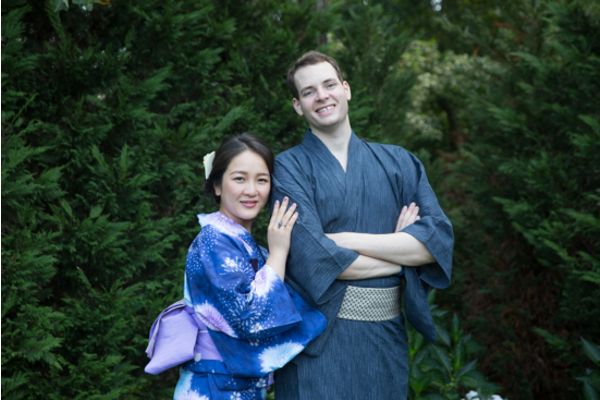 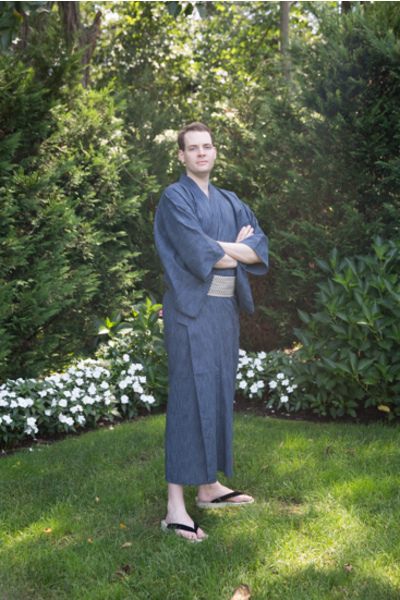 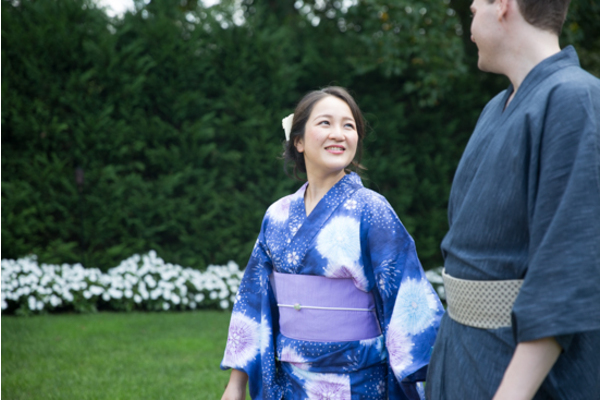 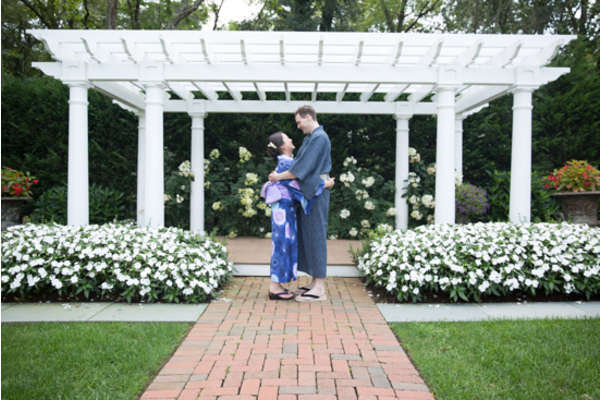 While guests were inside celebrating, Ikumi and Daniel snuck outside before sunset. 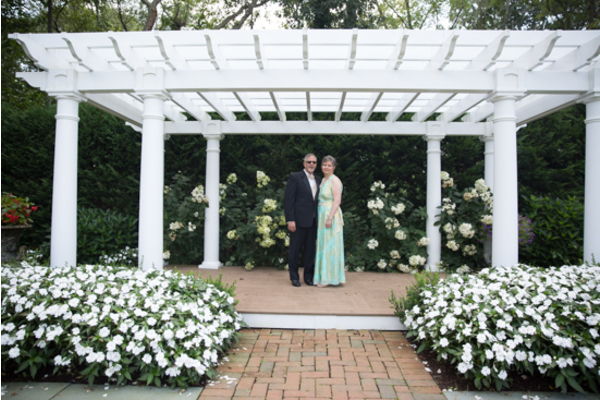 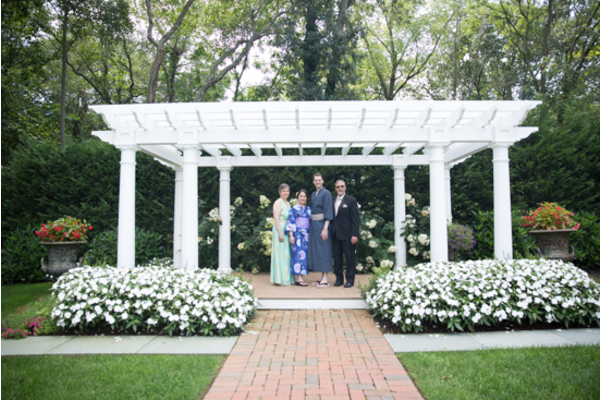 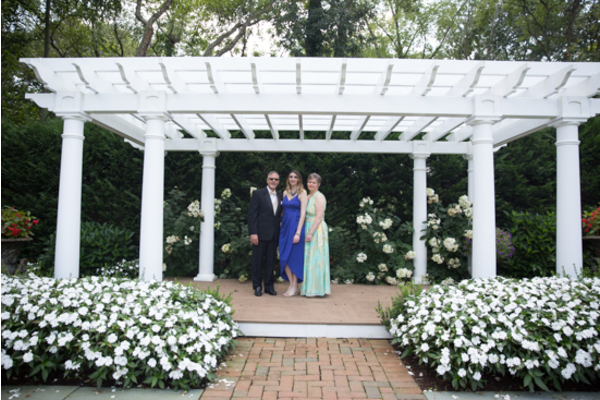 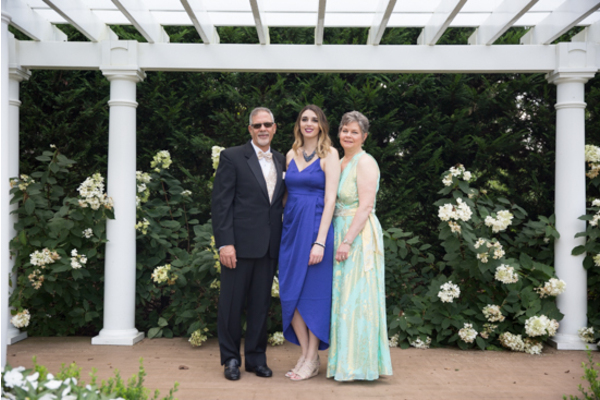 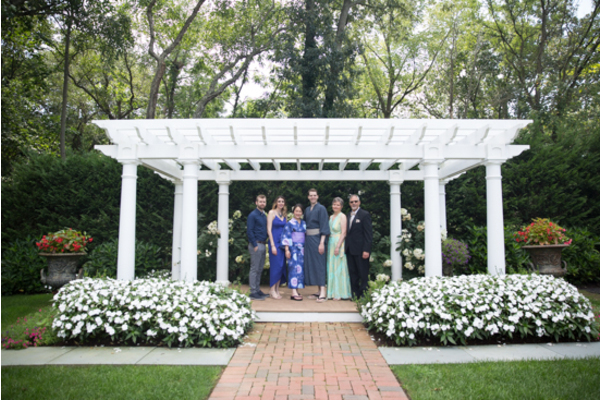 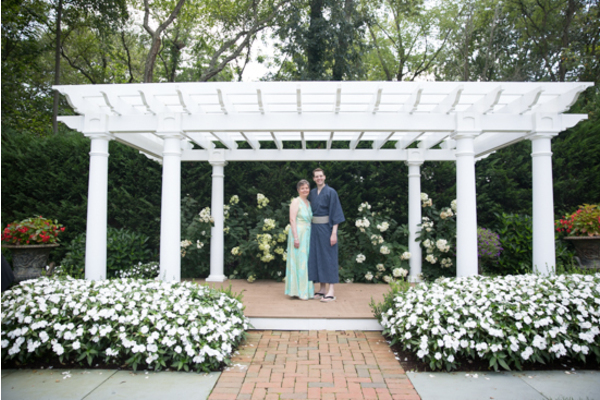 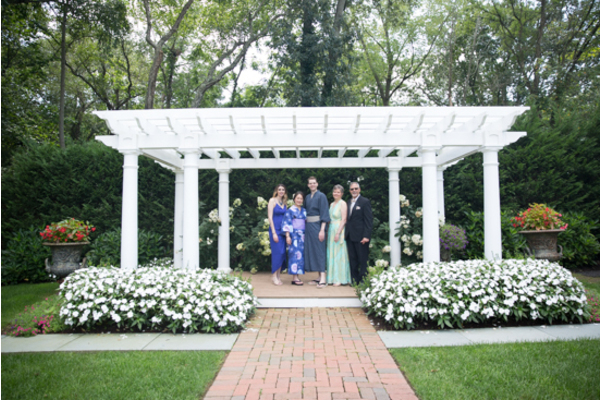 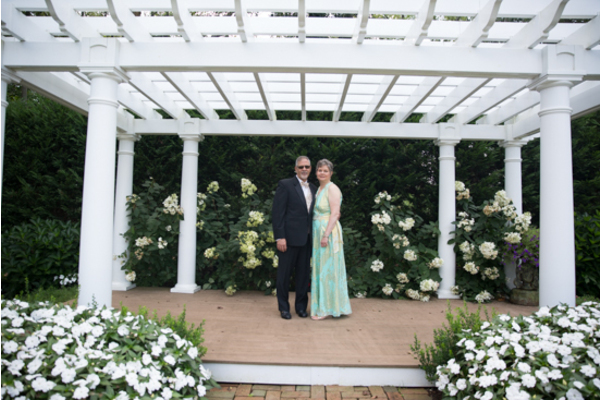 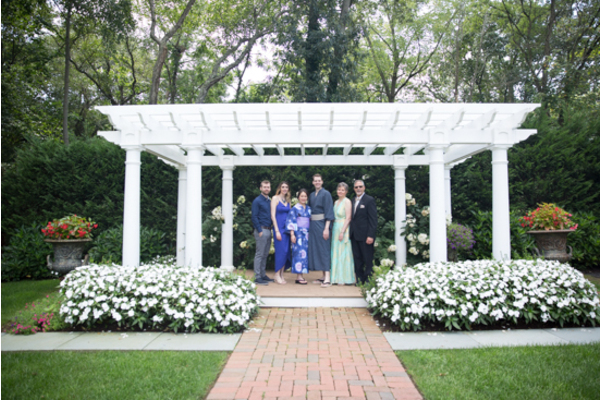 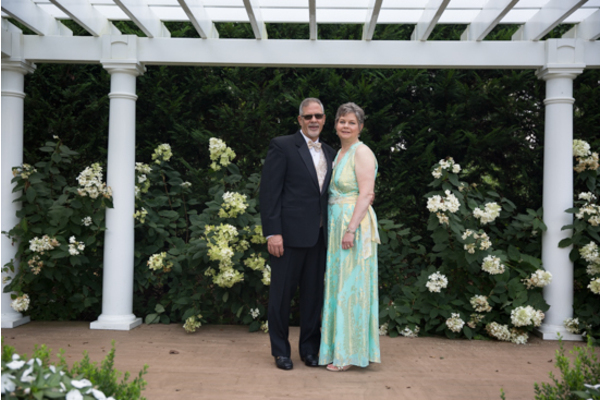 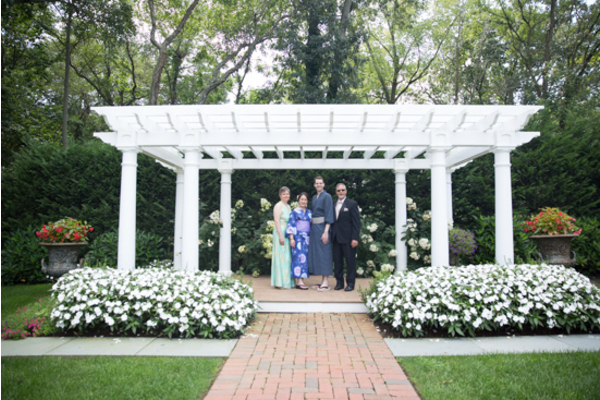 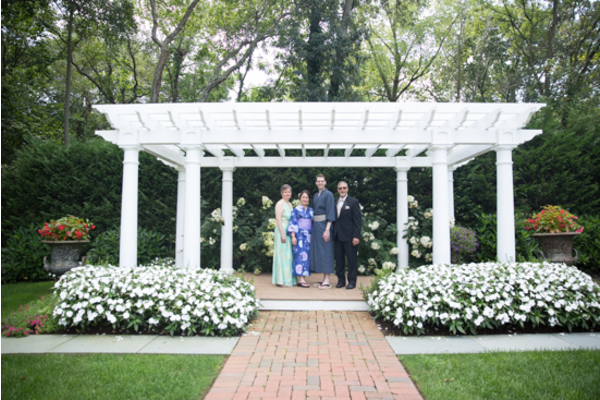 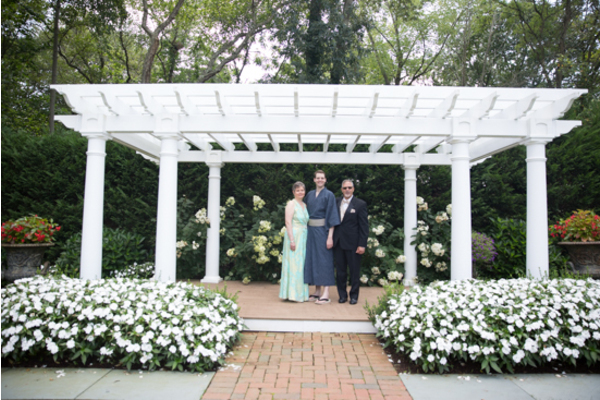 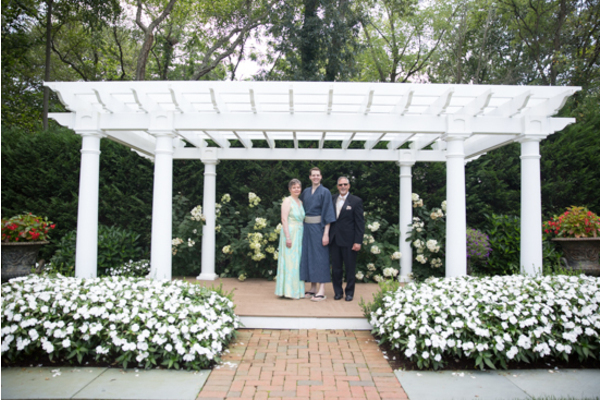 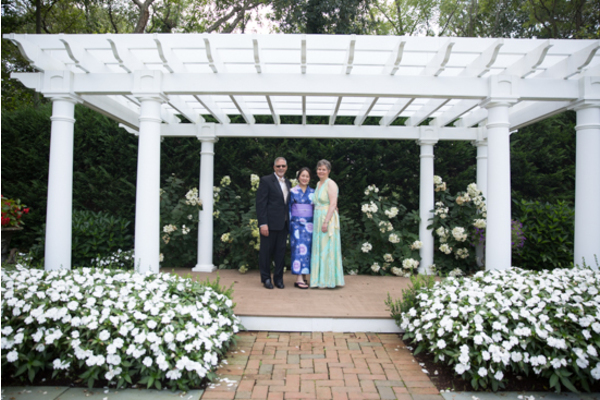 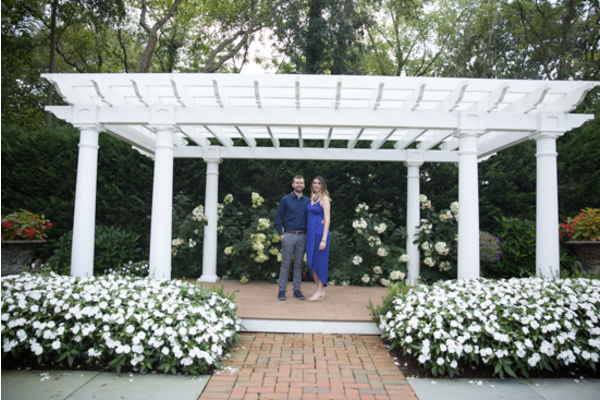 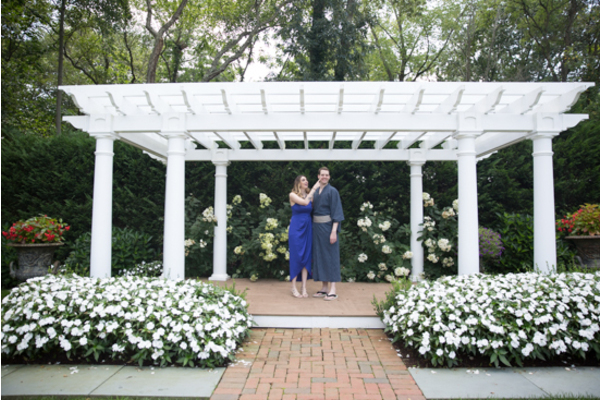 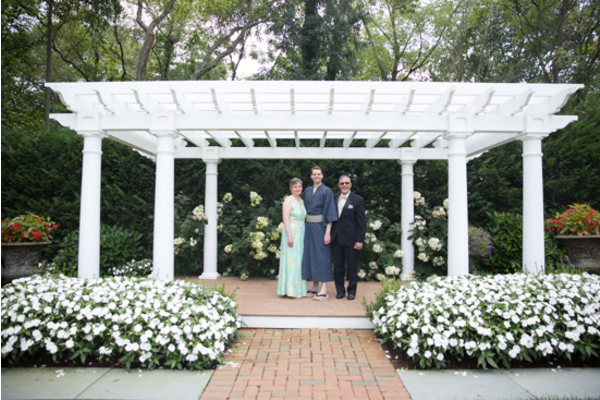 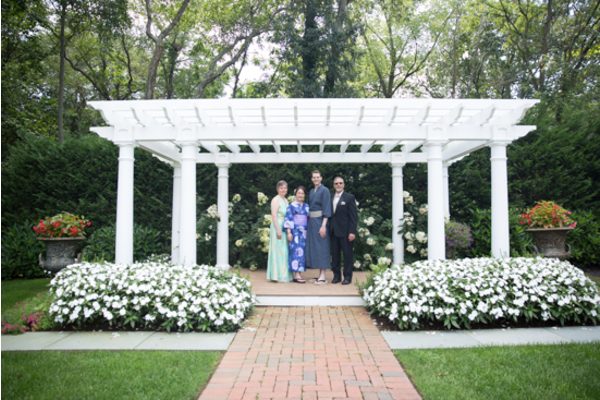 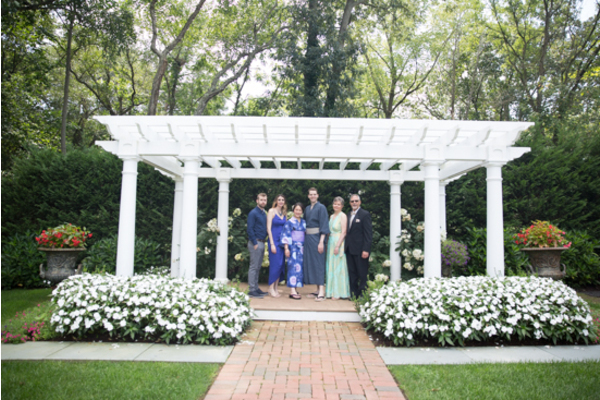 First, our NJ Wedding Photographer photographed the couple by the gazebo. 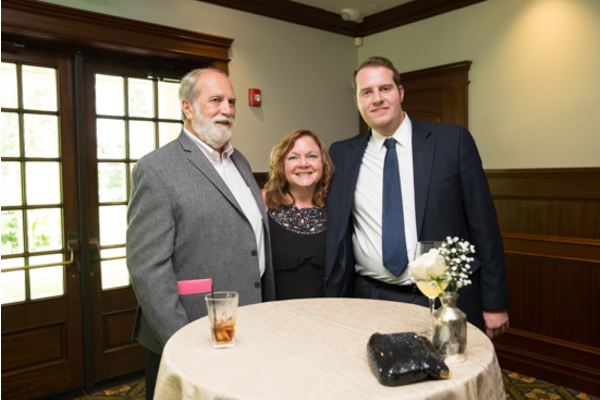 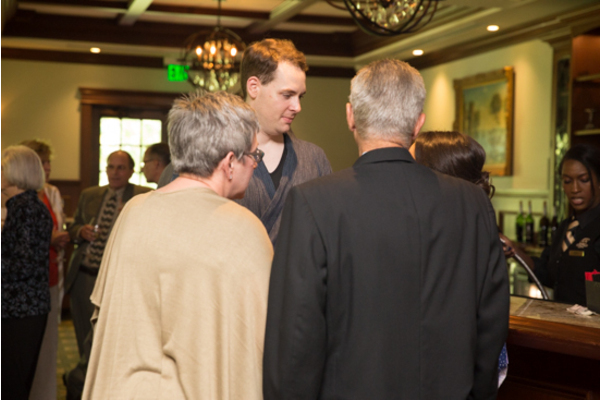 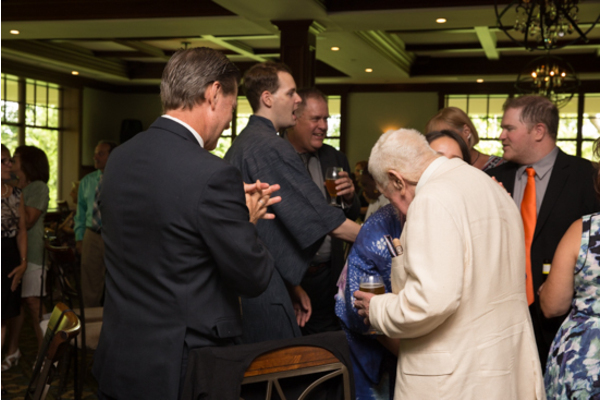 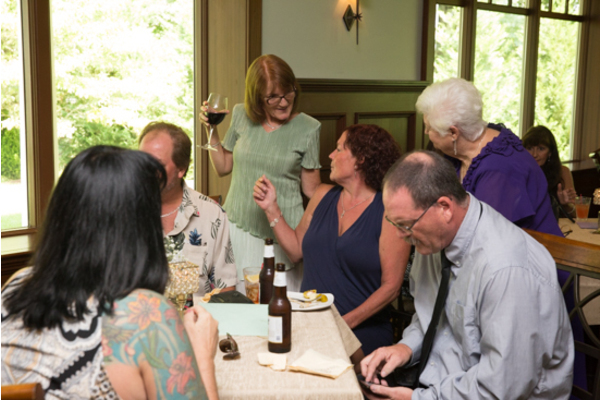 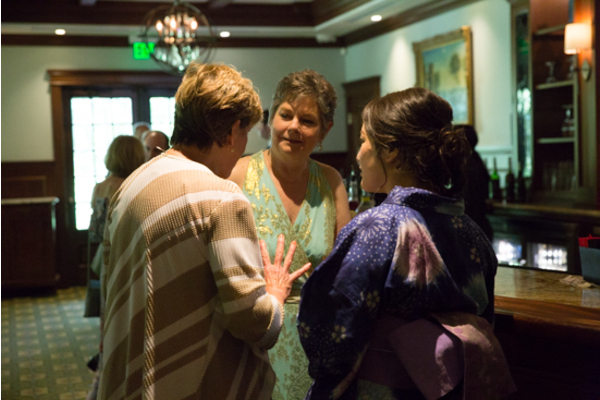 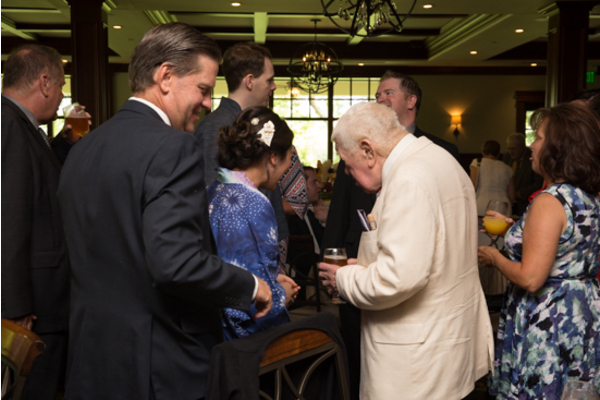 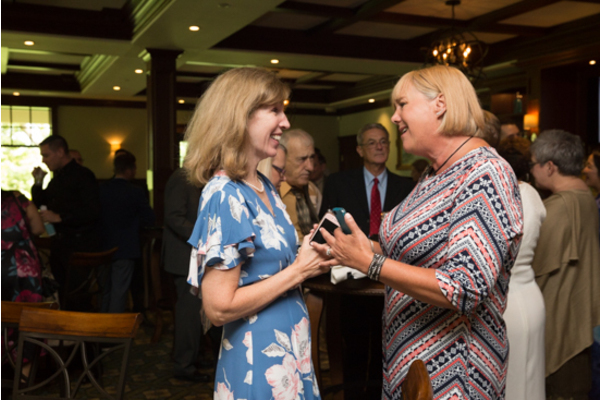 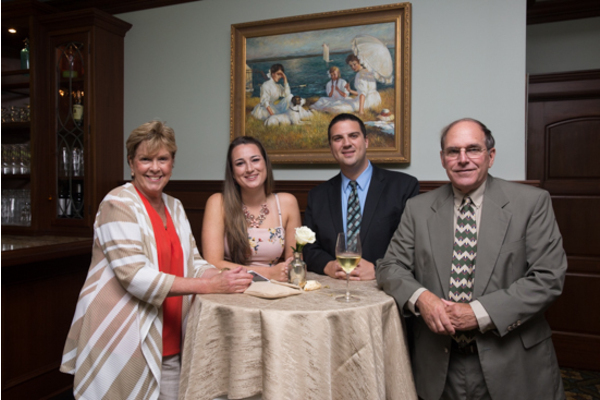 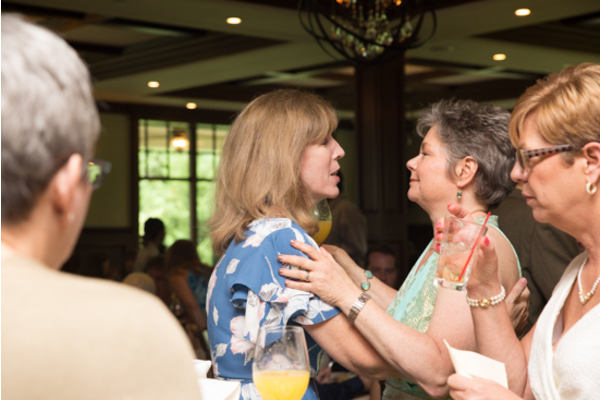 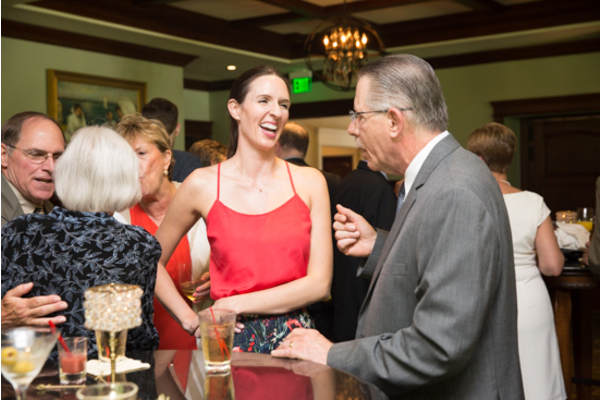 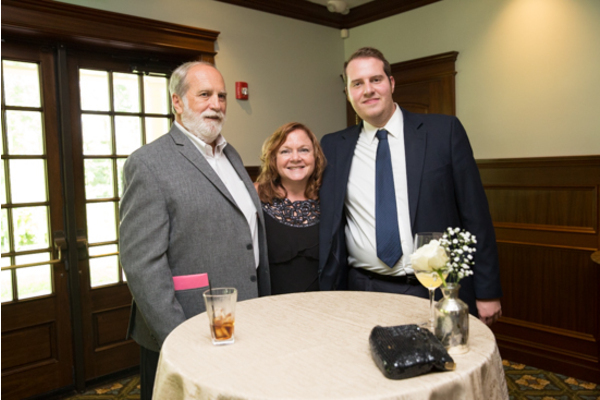 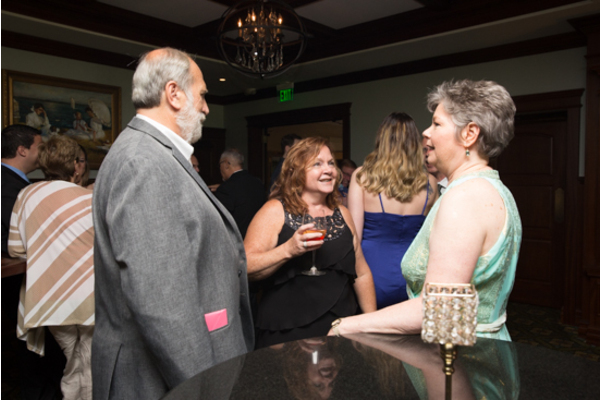 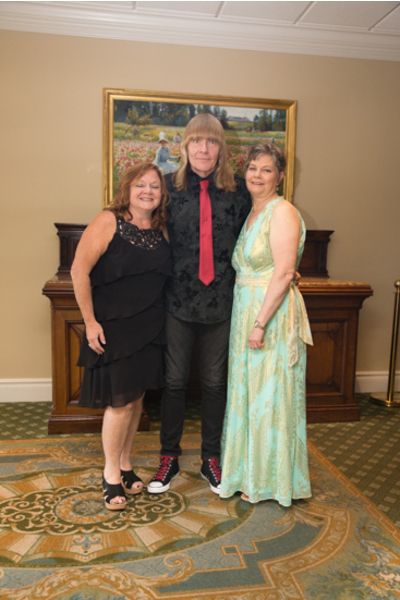 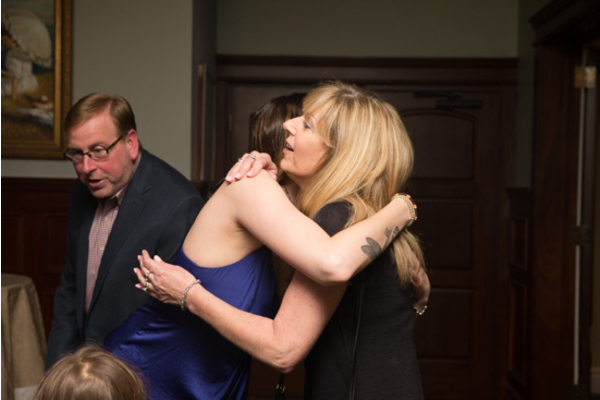 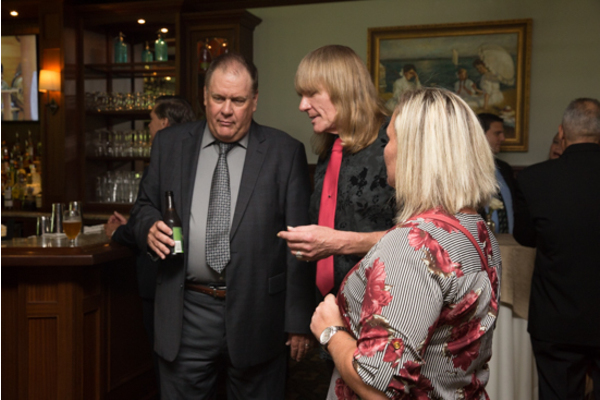 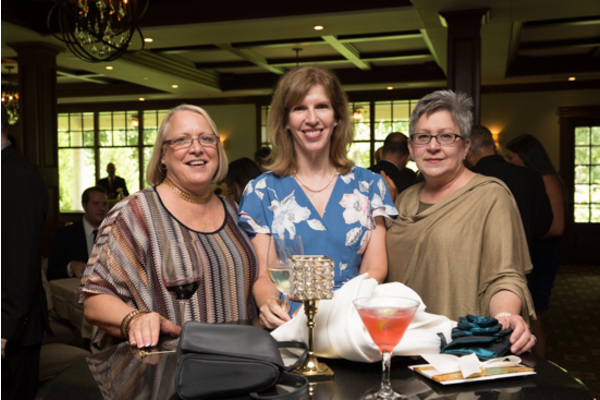 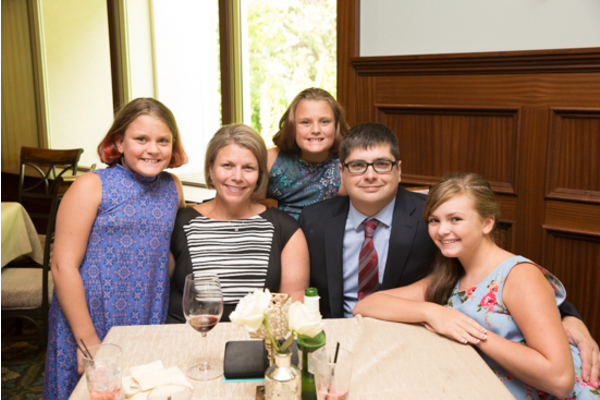 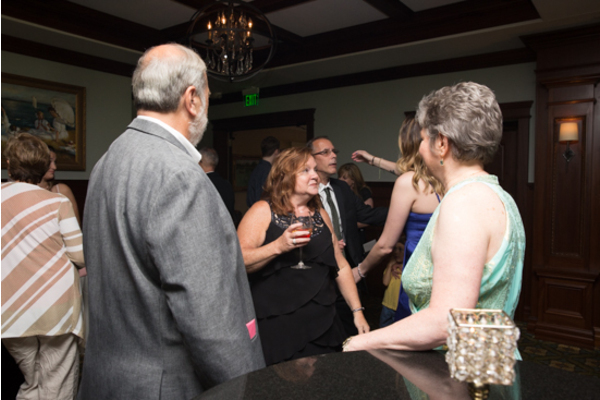 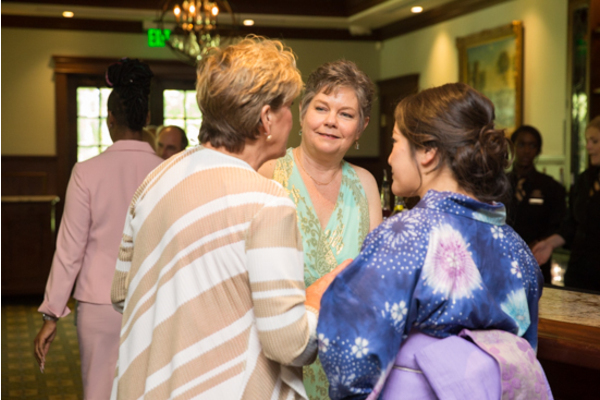 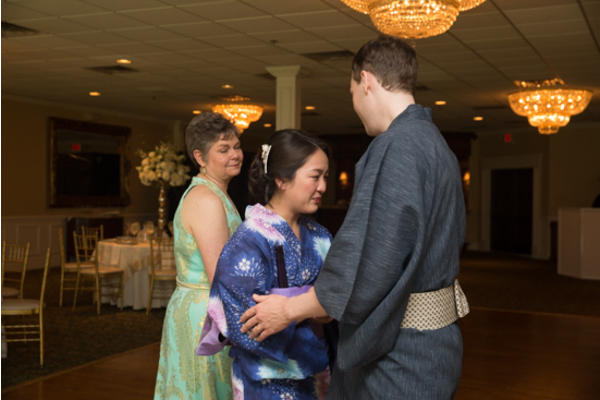 During the reception, friends and family gathered on the dance floor. 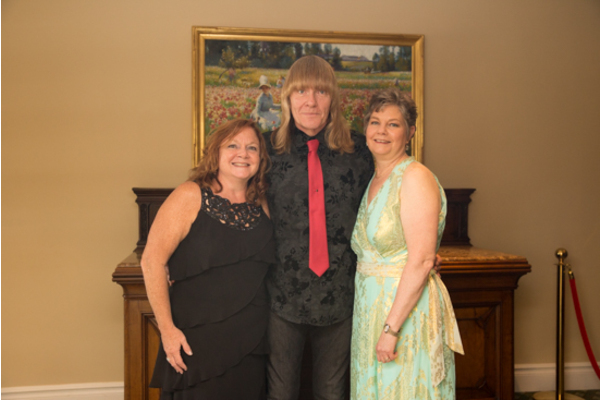 The night was just beginning! 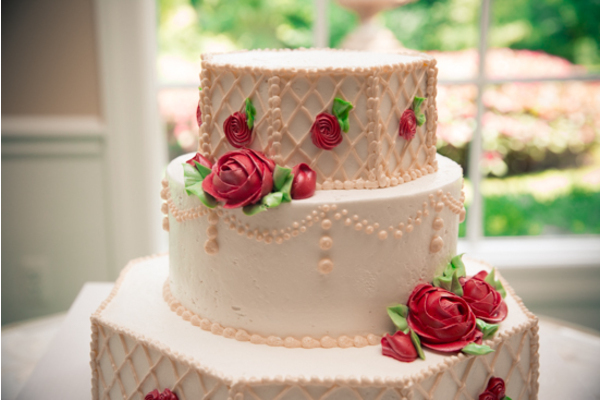 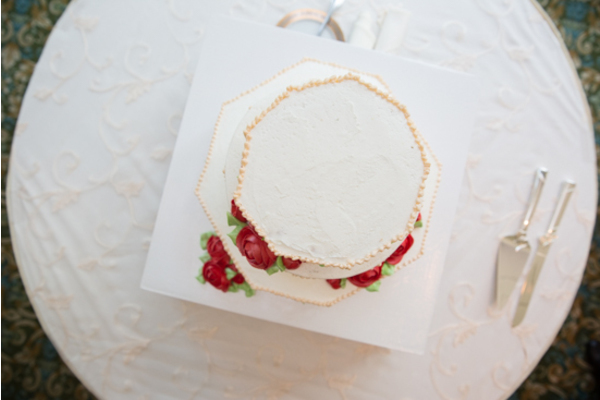 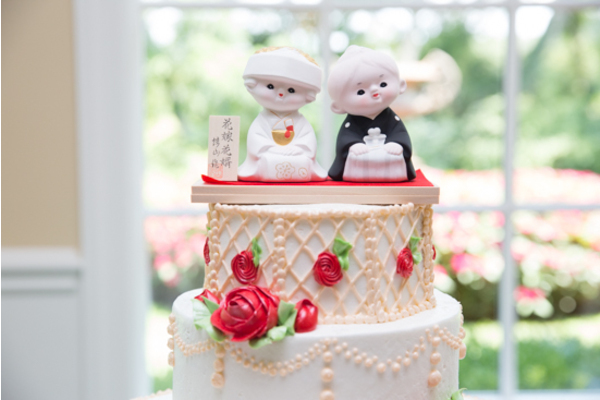 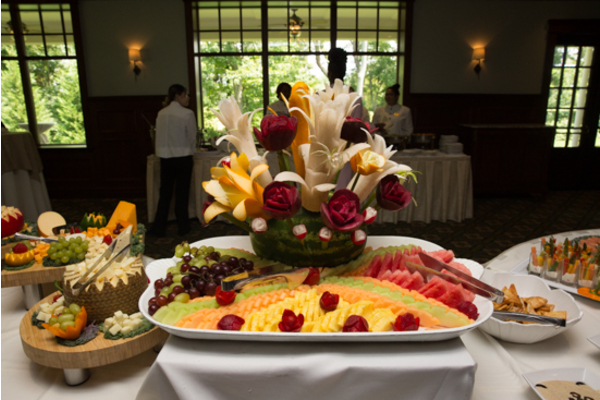 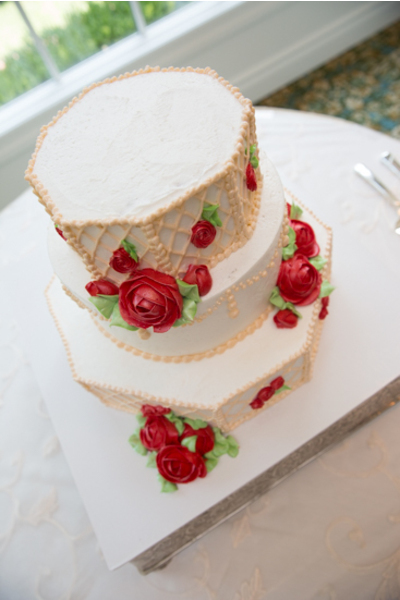 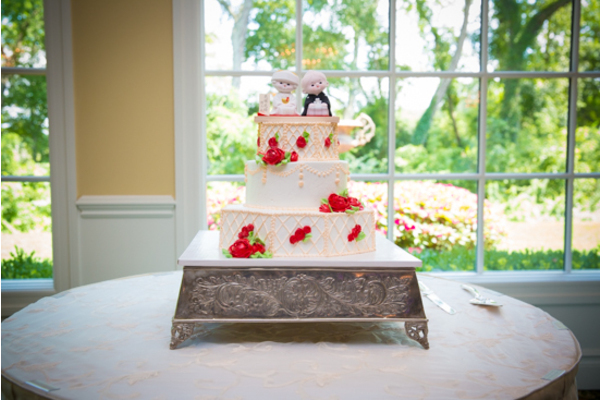 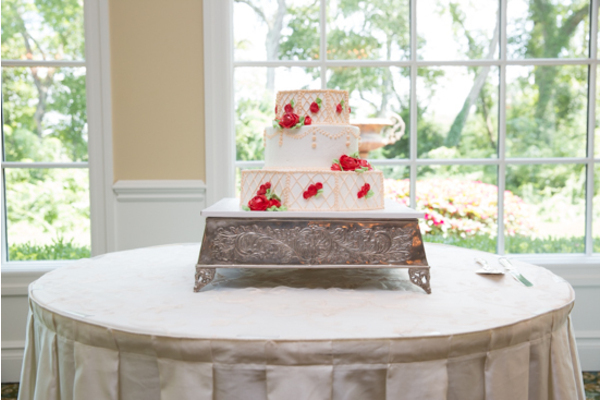 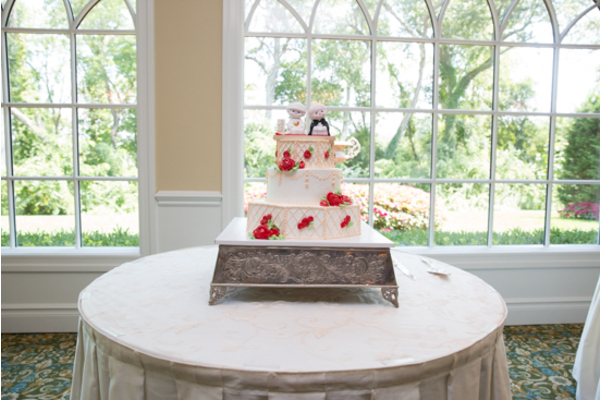 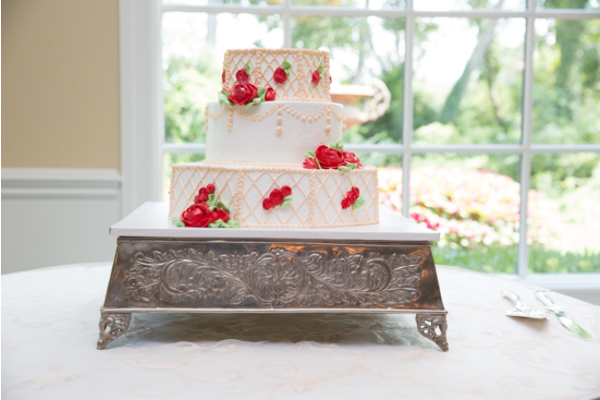 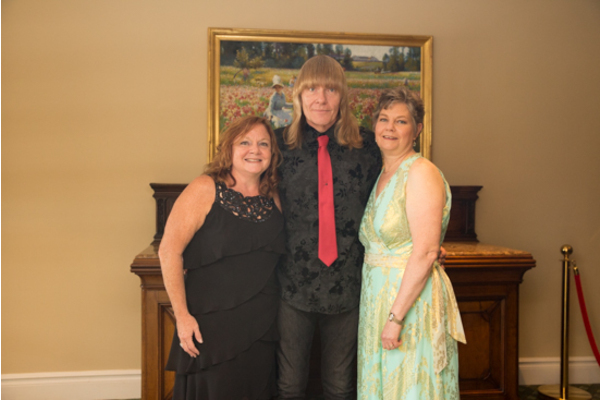 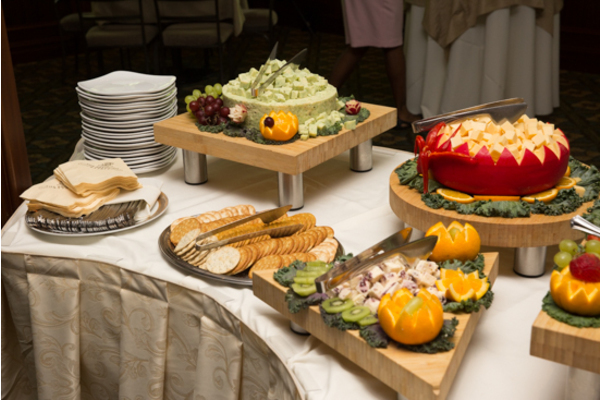 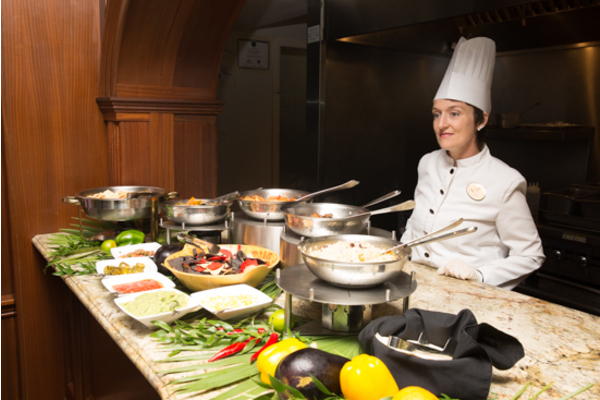 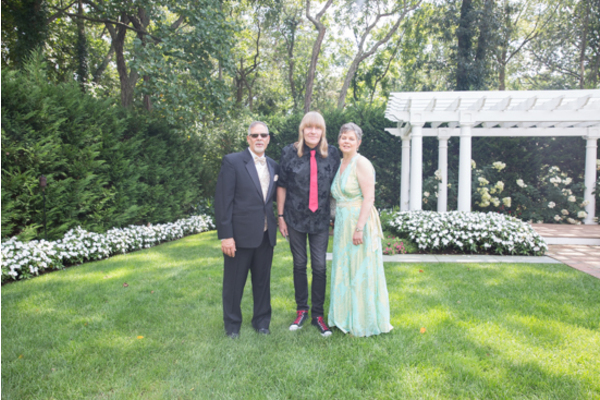 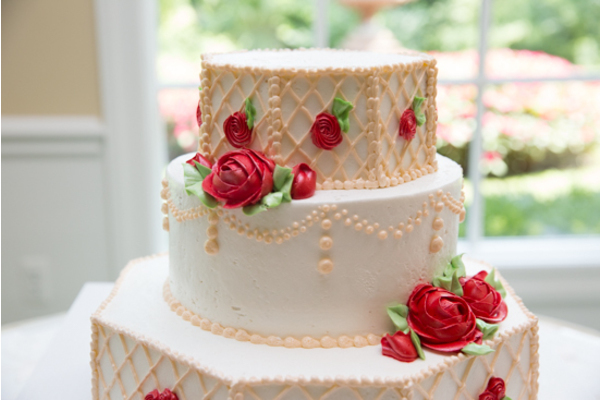 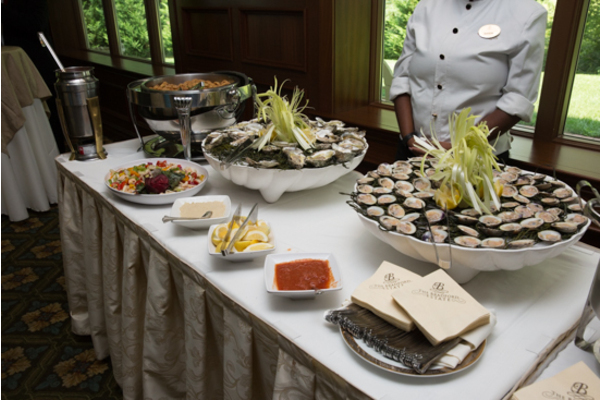 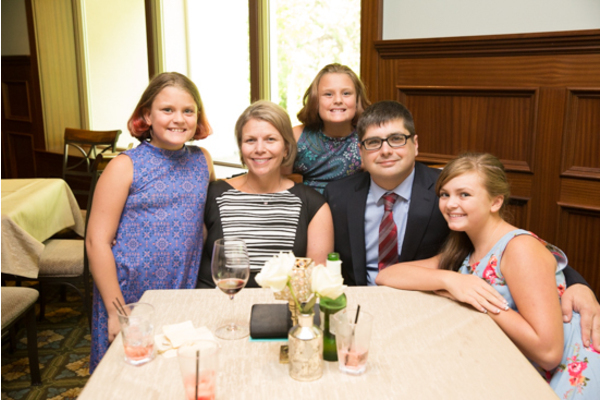 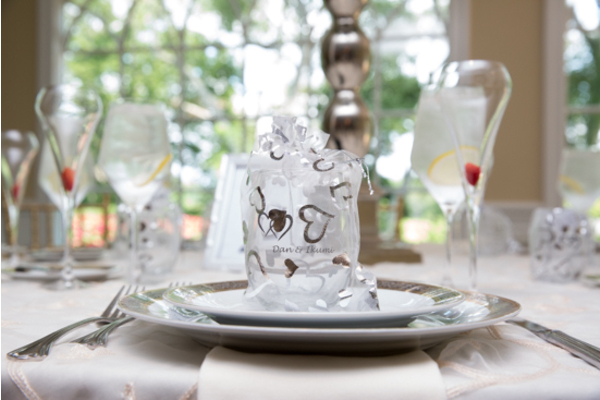 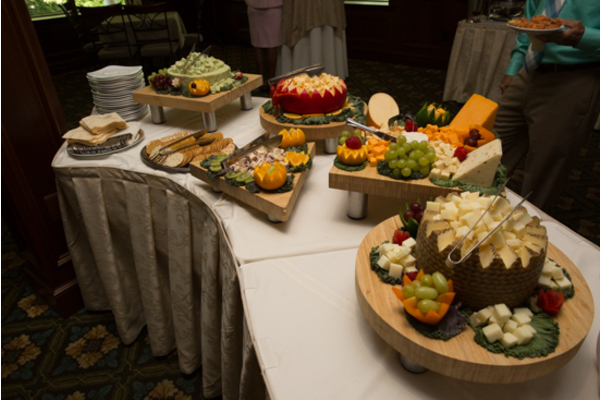 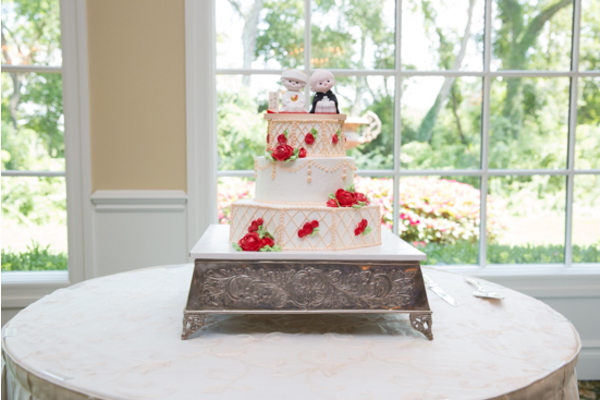 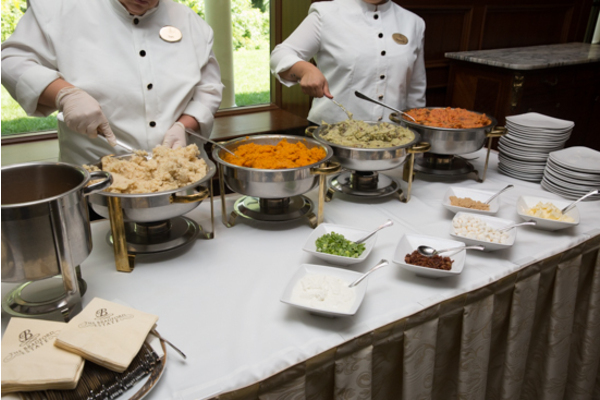 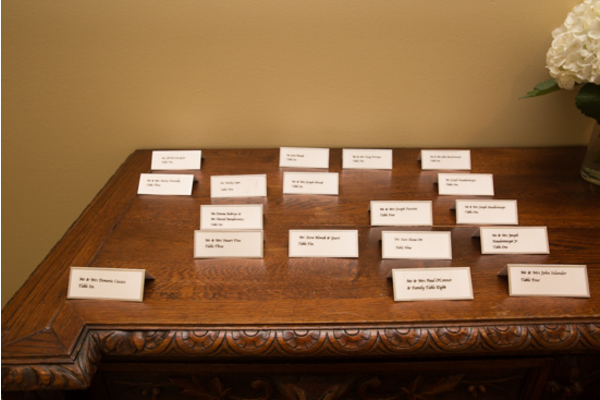 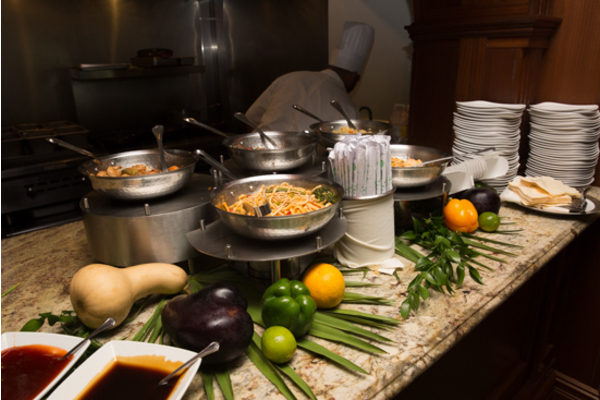 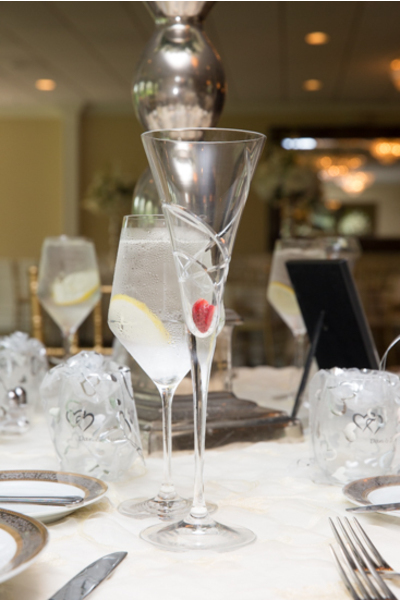 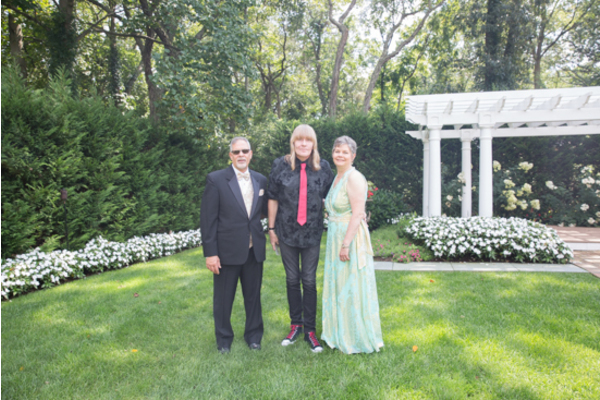 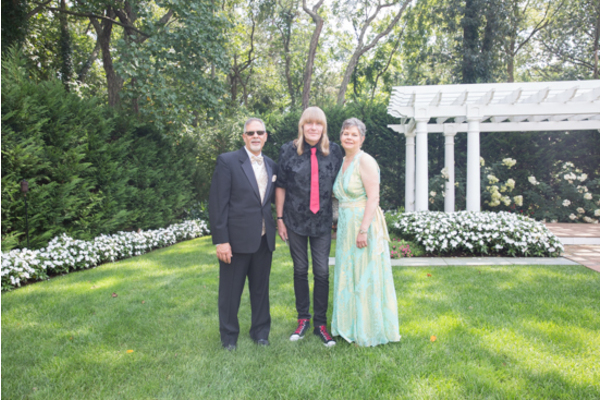 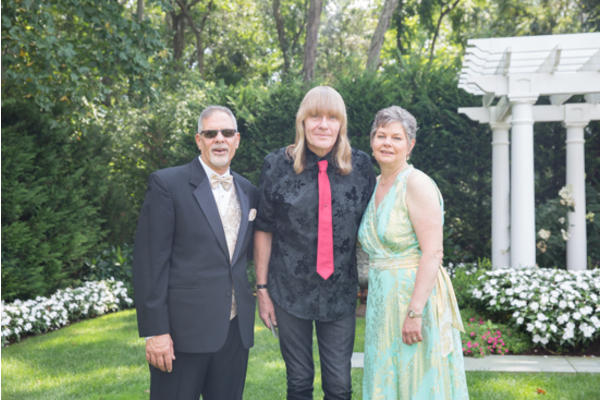 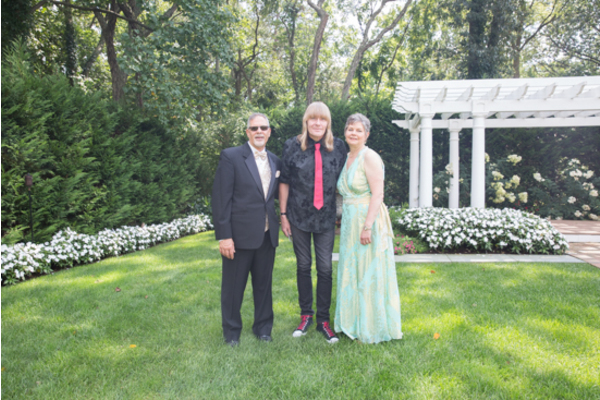 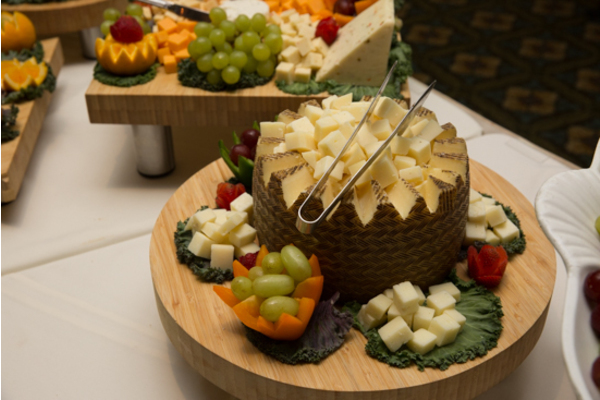 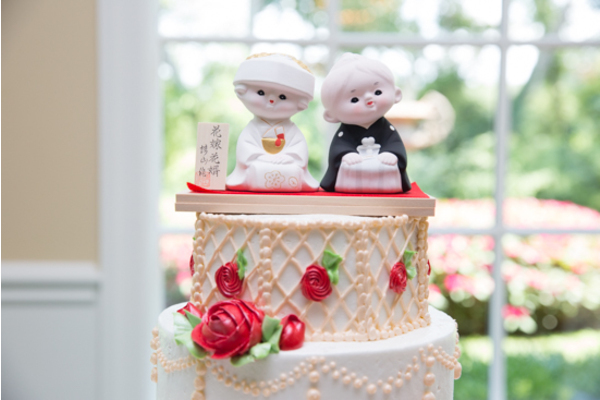 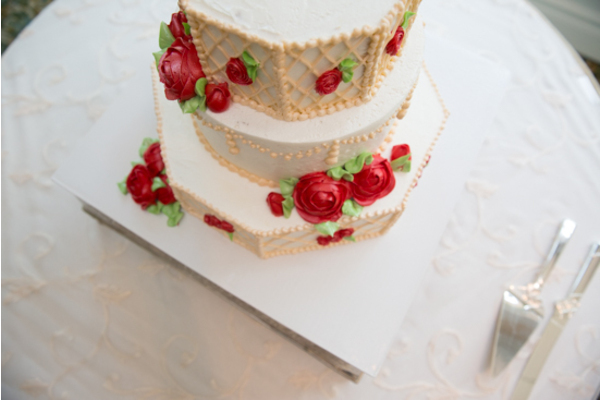 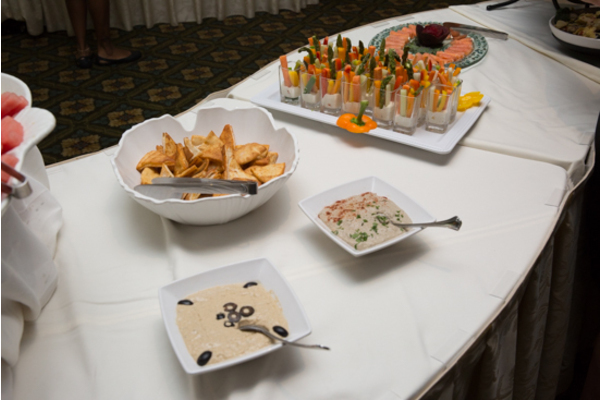 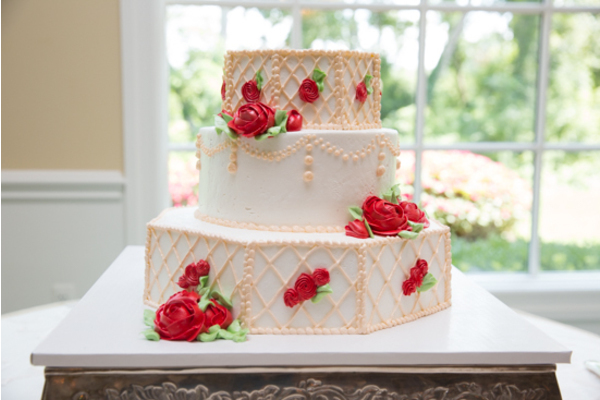 Their unique wedding reception featured delicious hors d’oeuvres and a red rose wedding cake. 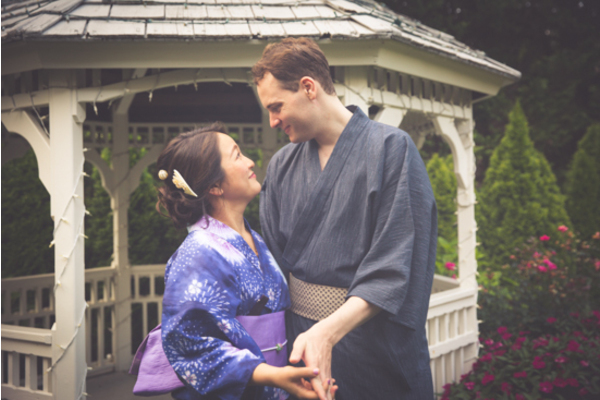 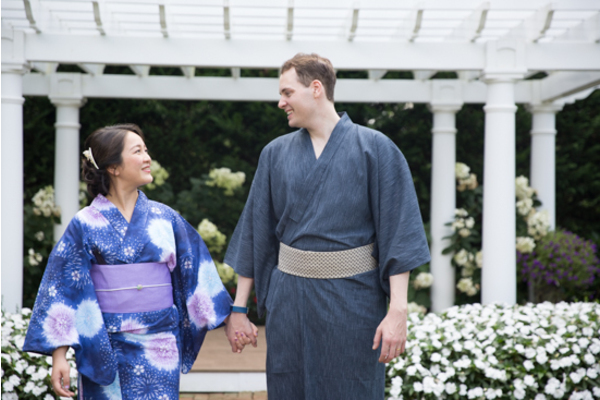 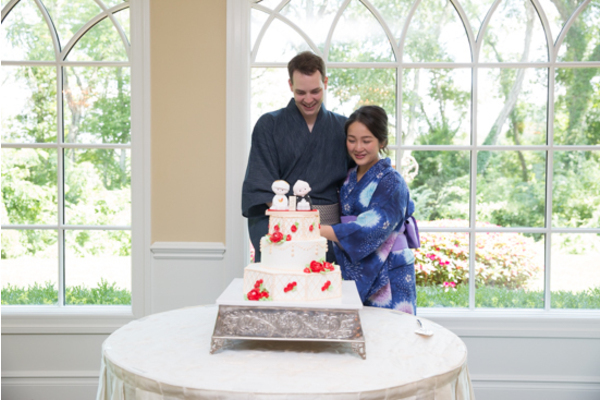 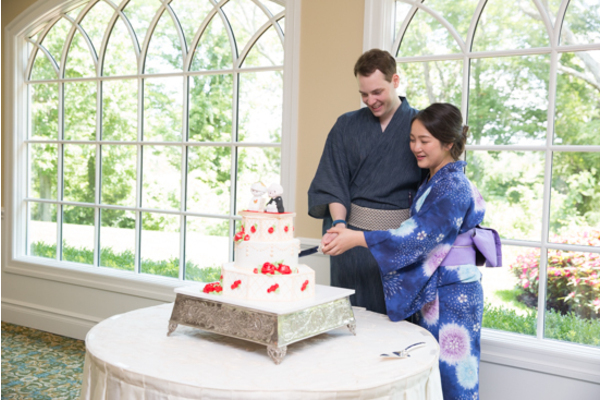 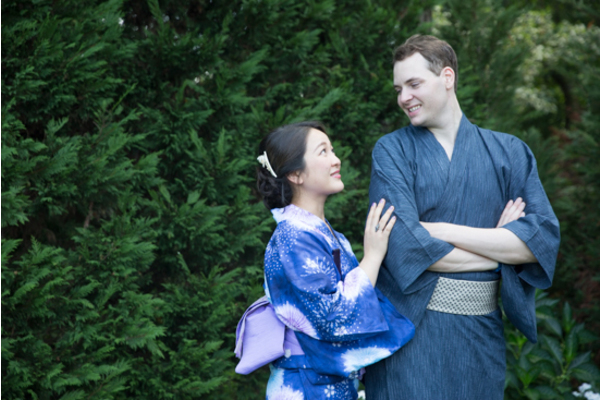 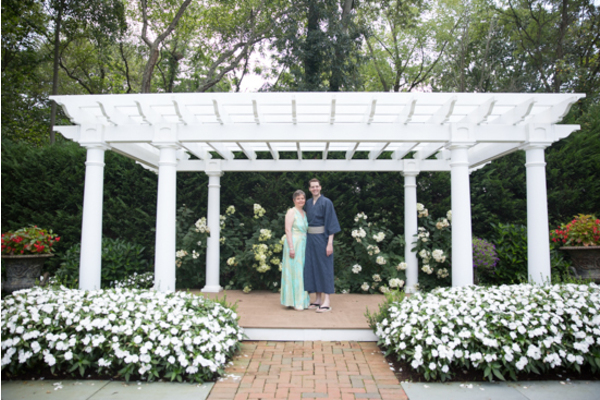 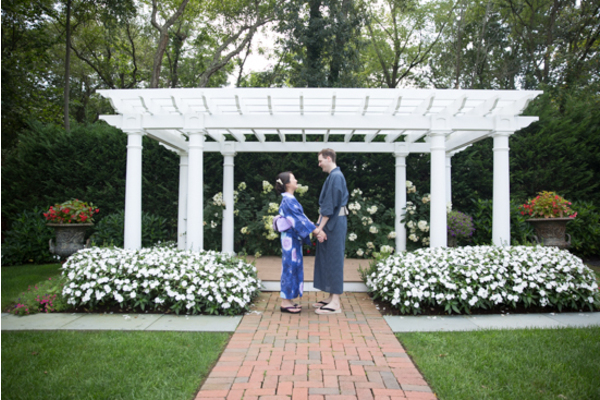 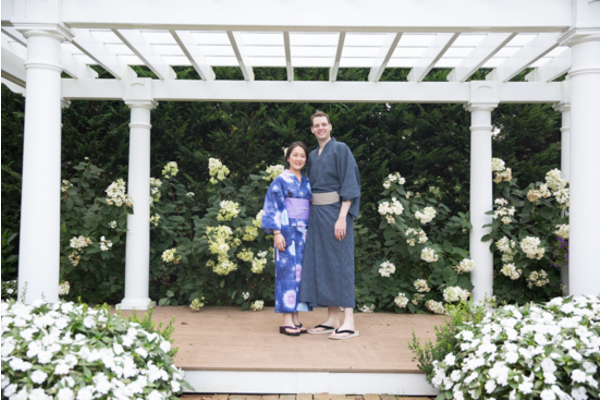 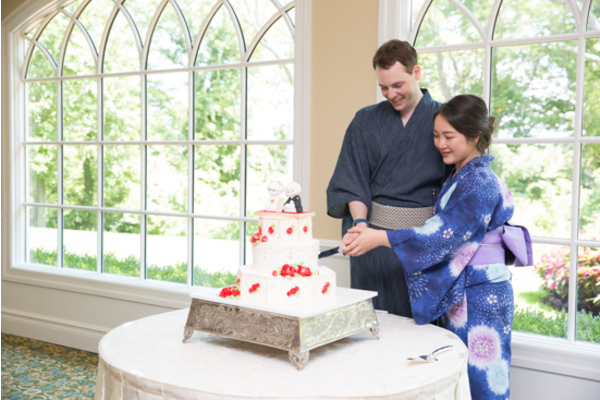 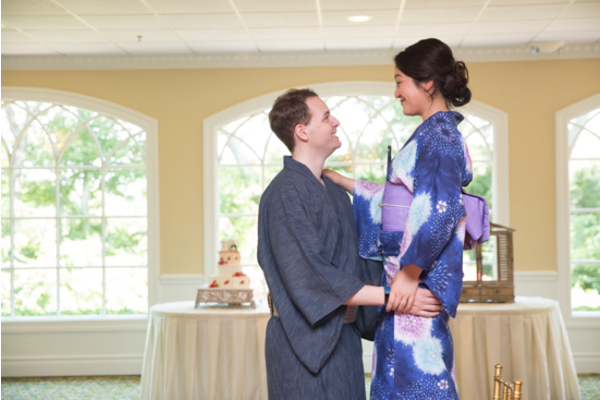 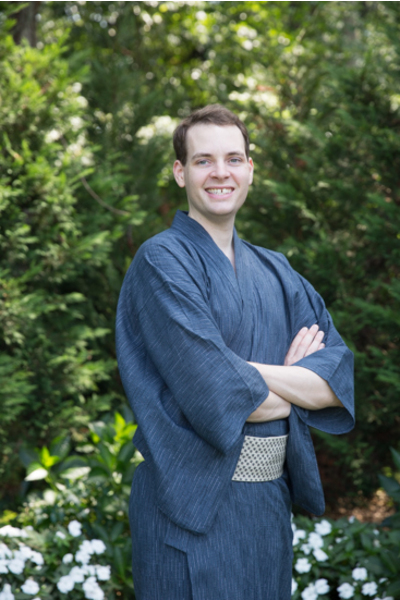 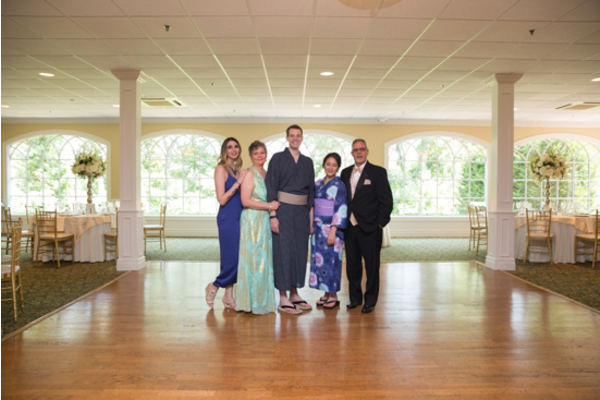 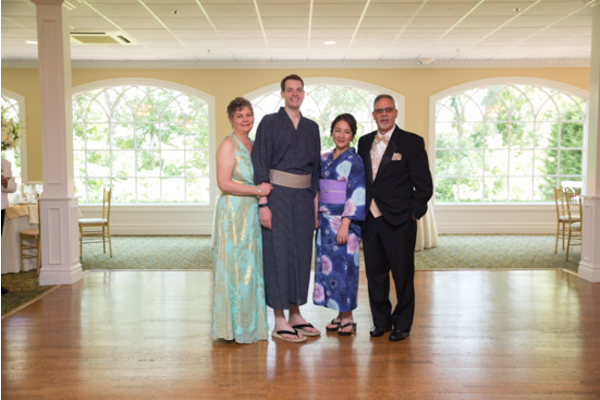 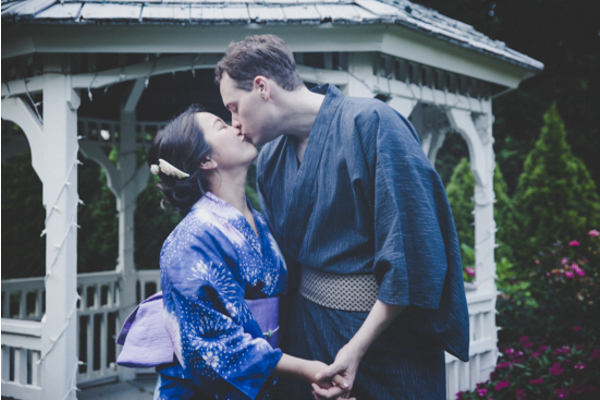 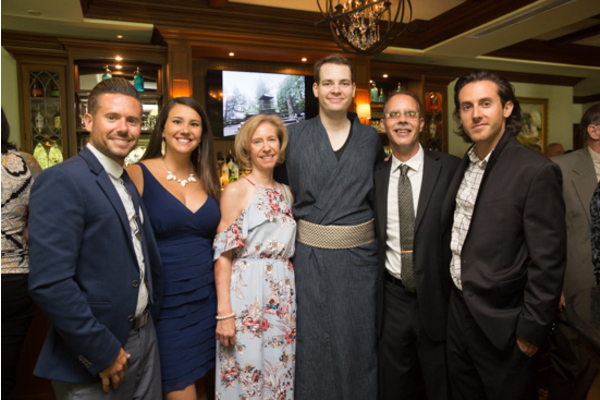 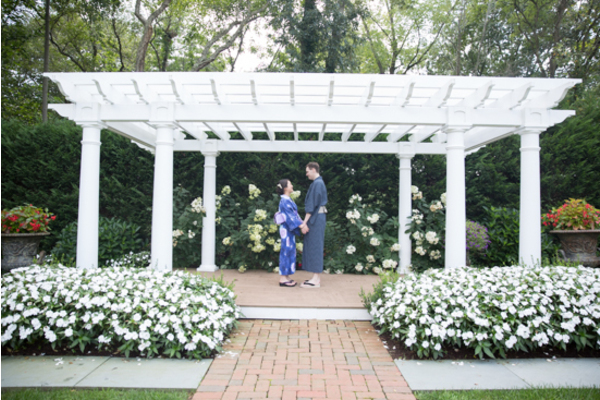 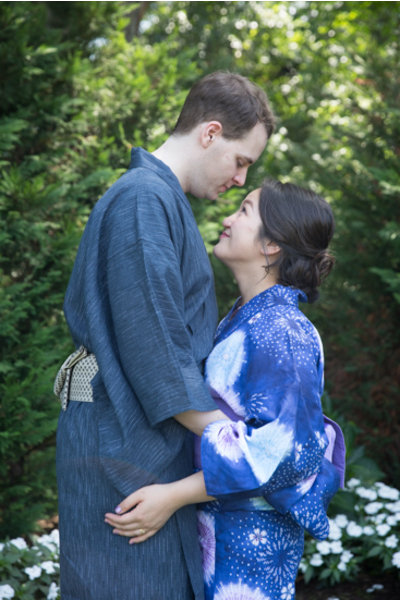 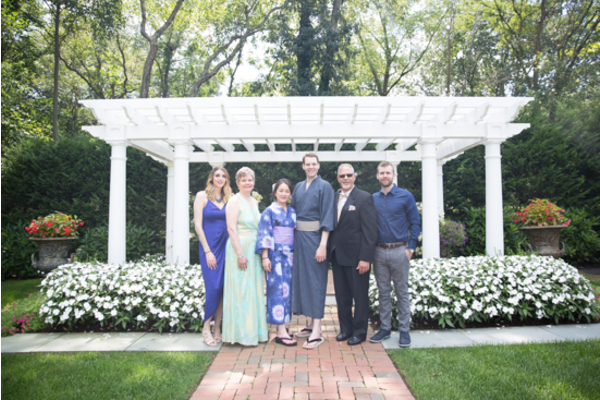 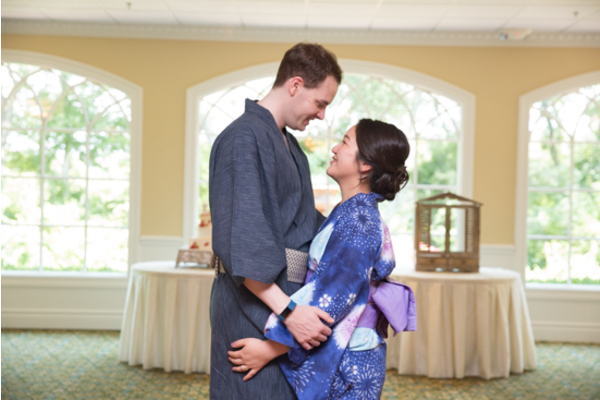 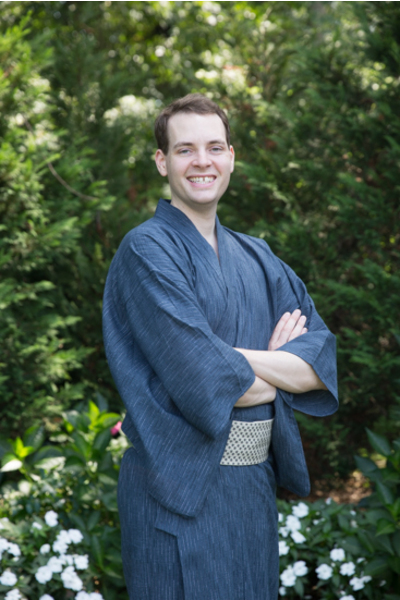 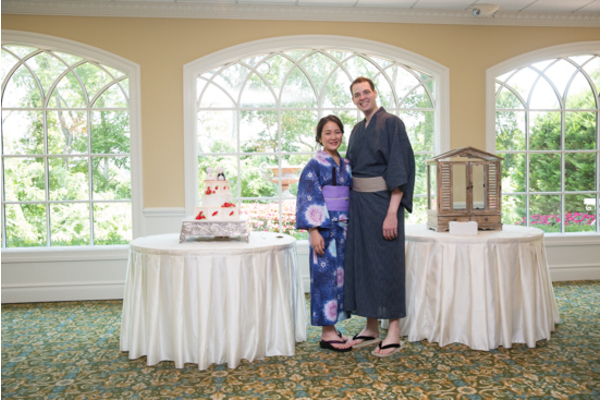 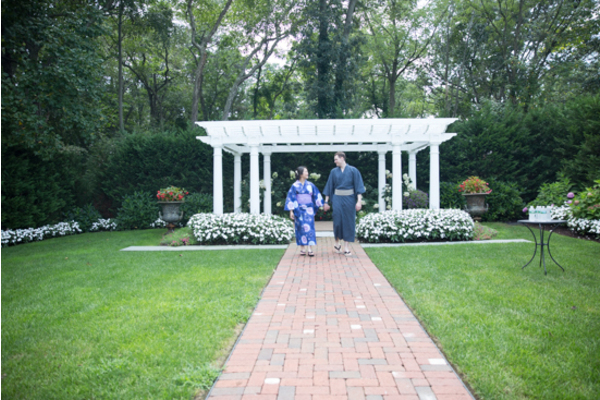 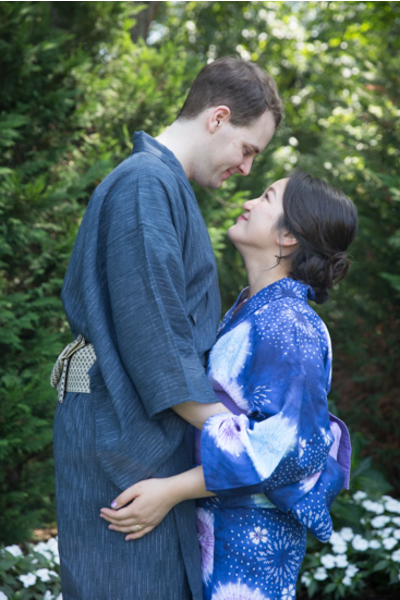 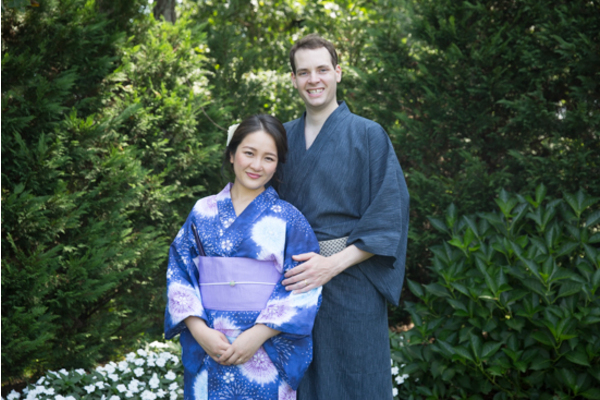 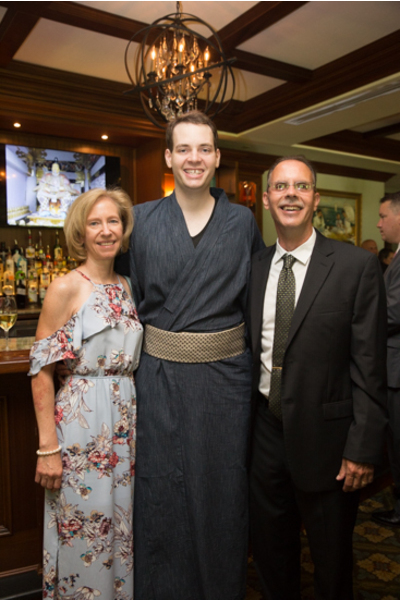 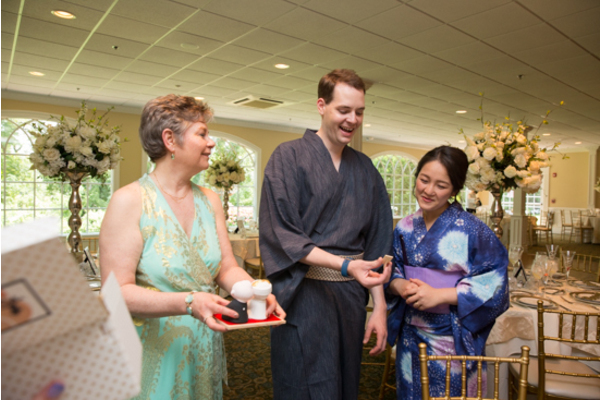 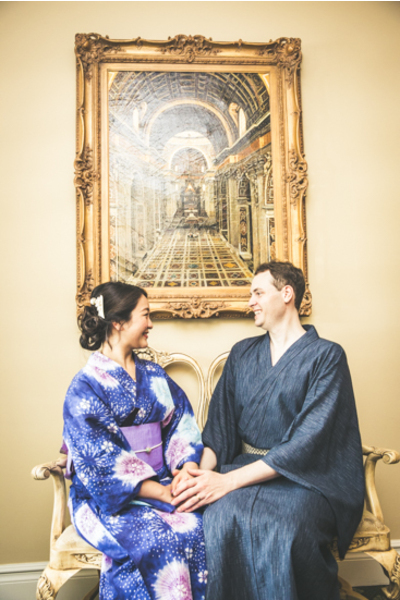 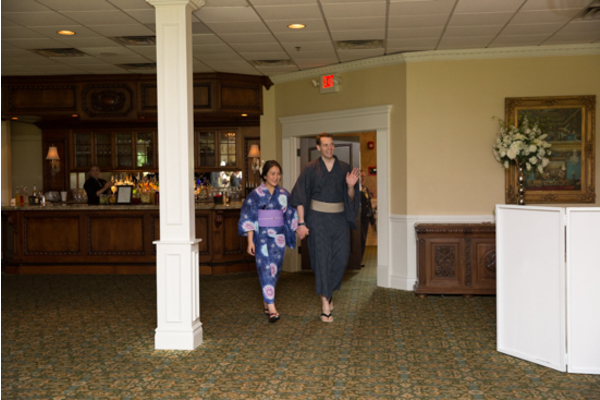 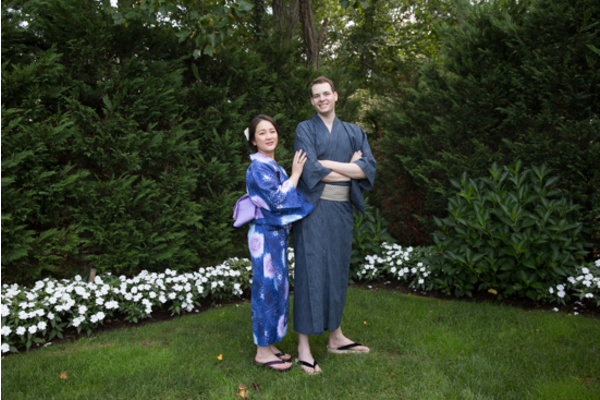 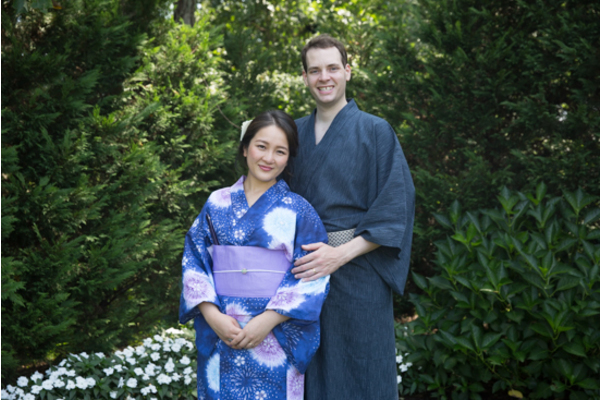 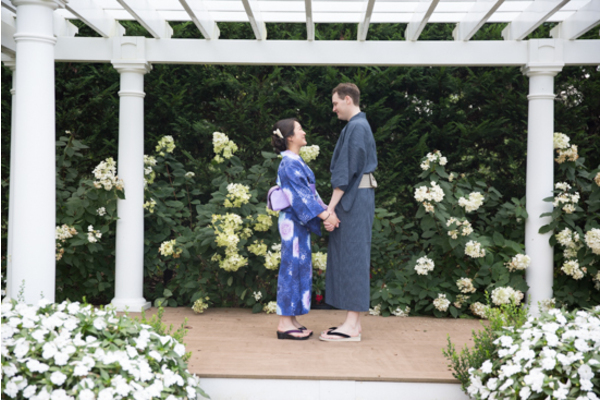 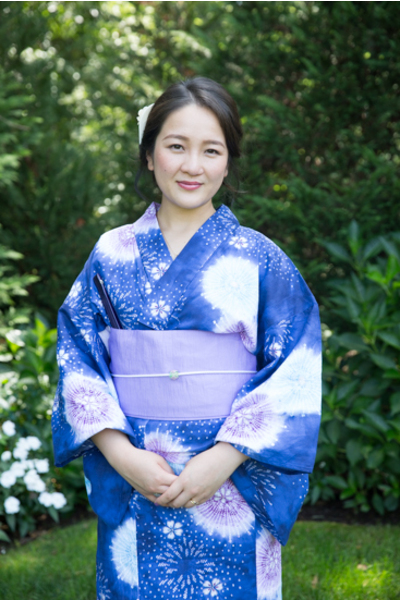 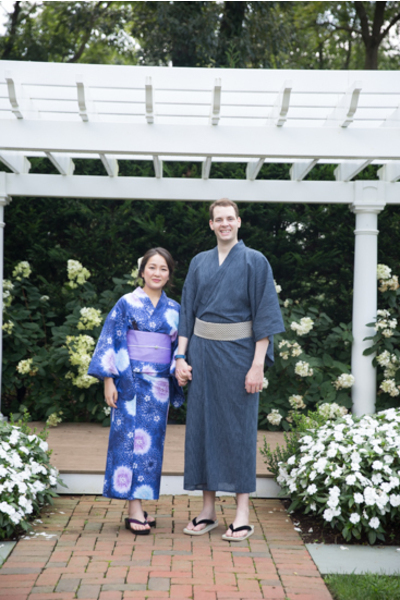 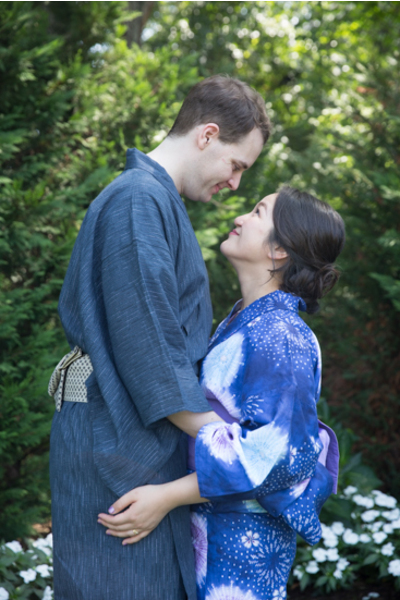 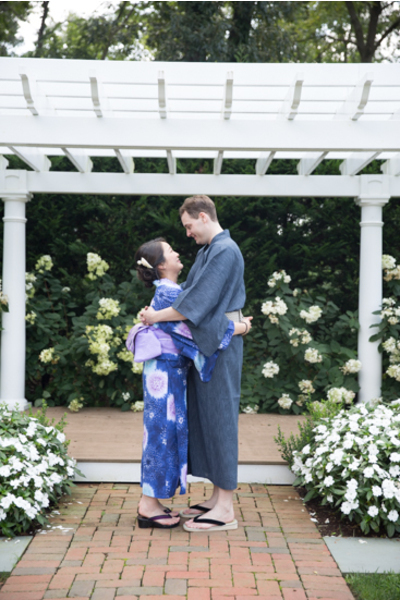 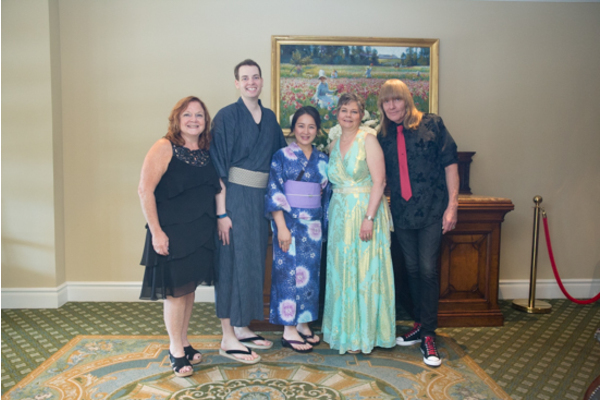 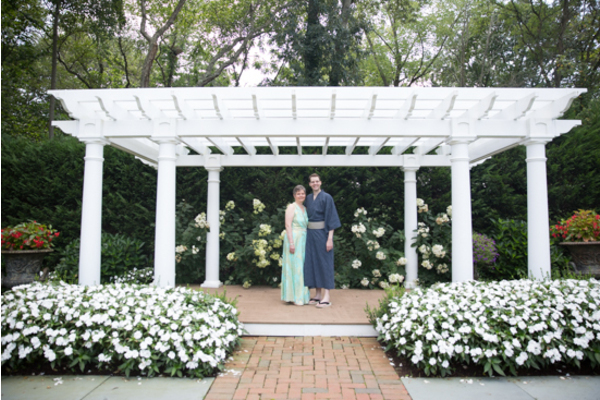 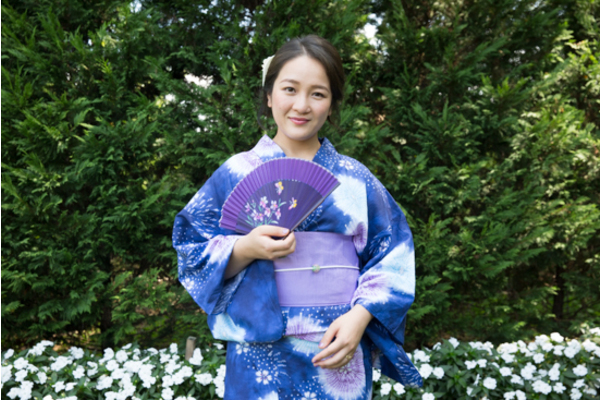 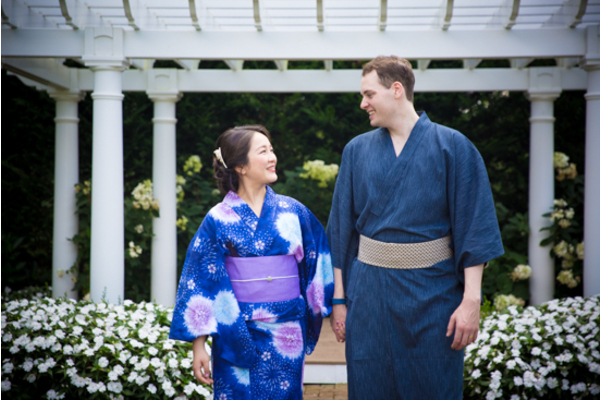 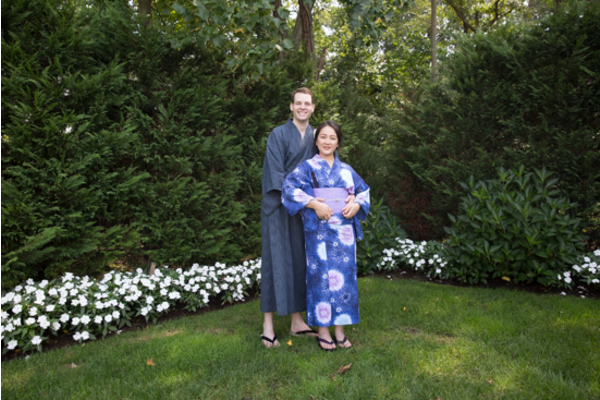 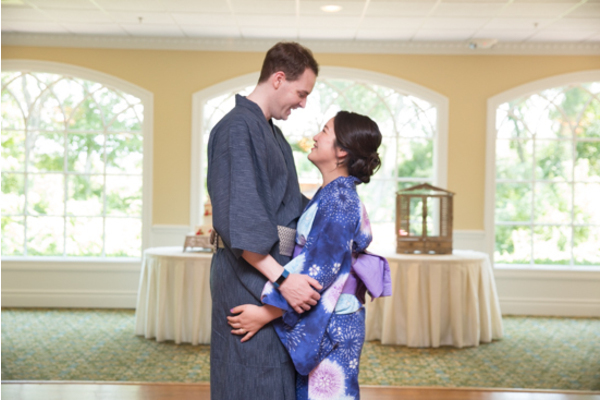 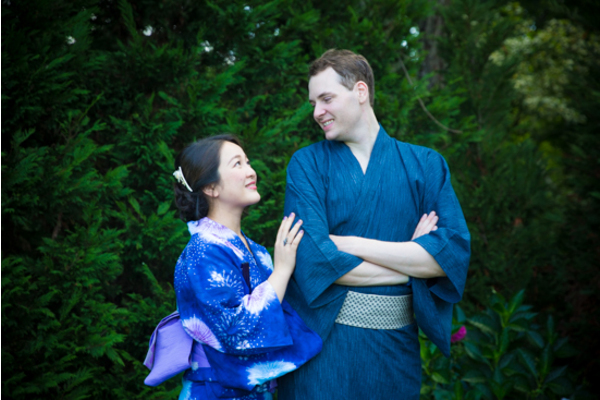 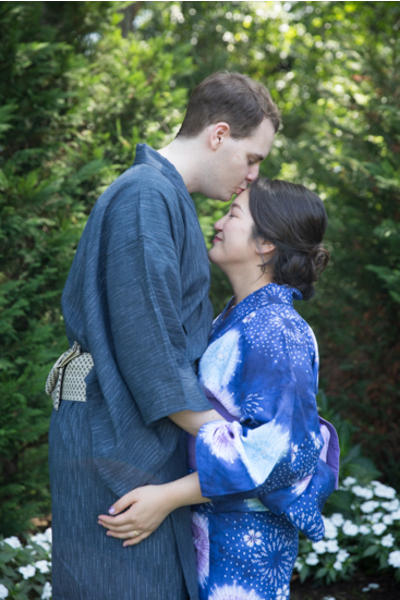 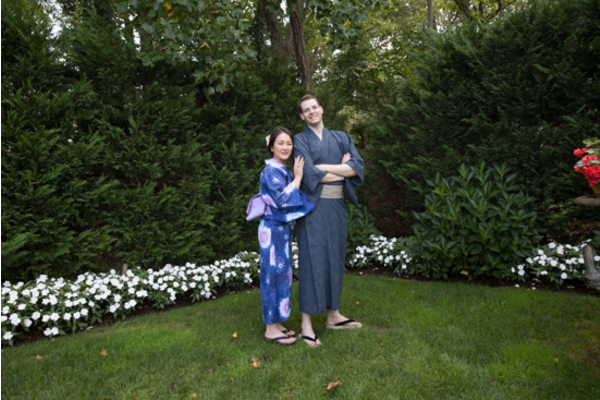 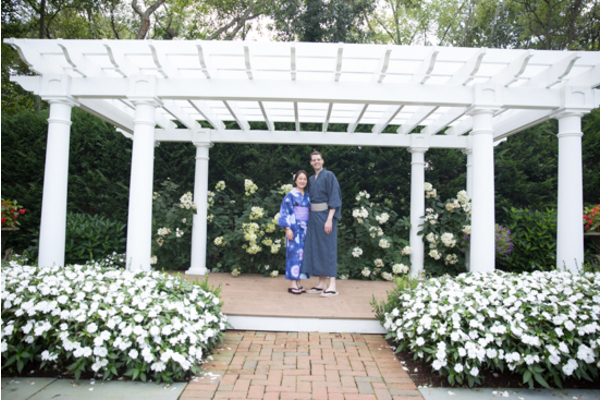 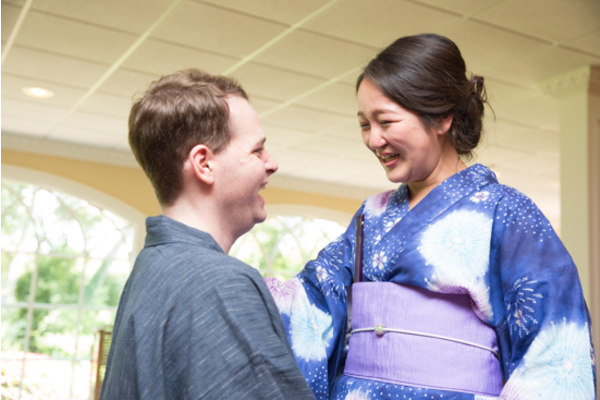 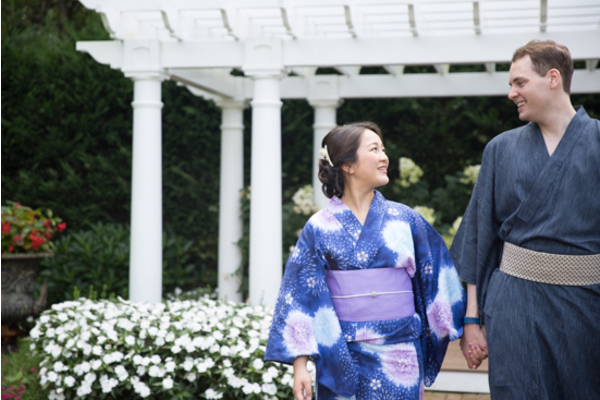 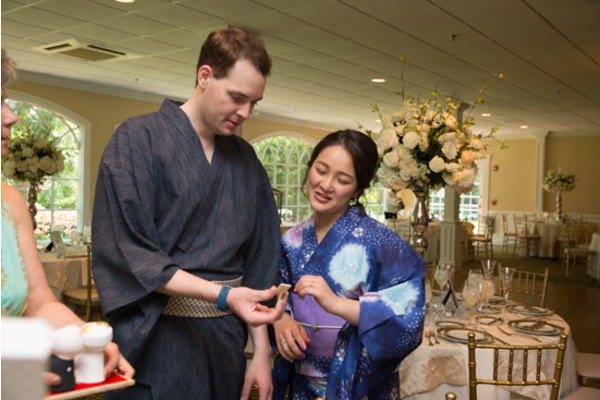 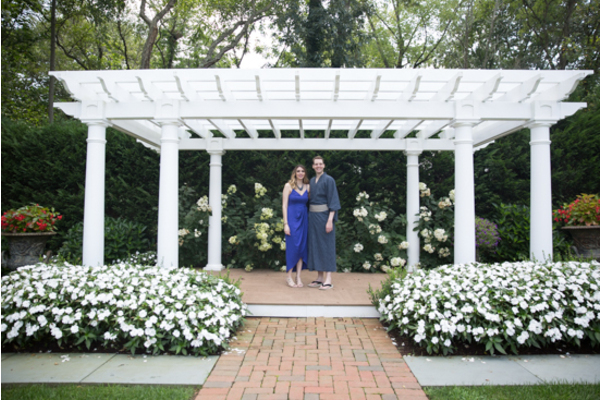 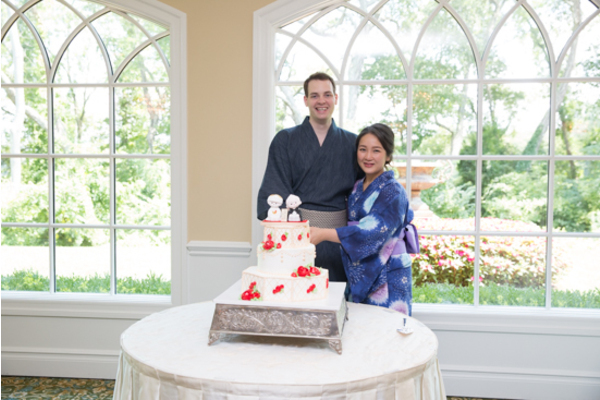 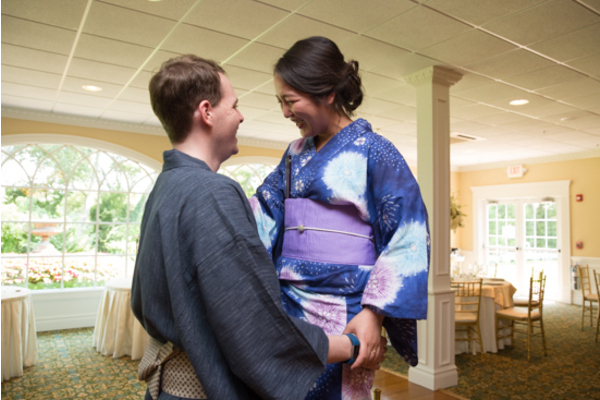 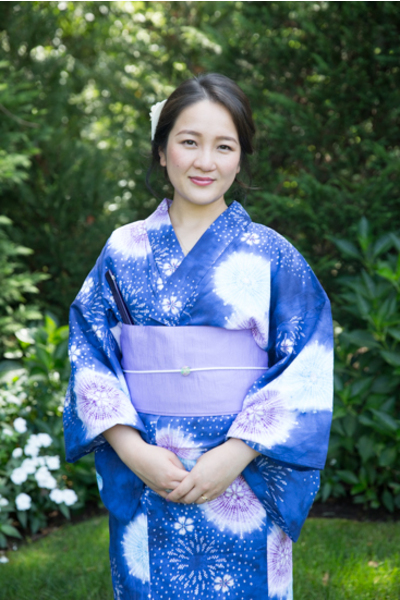 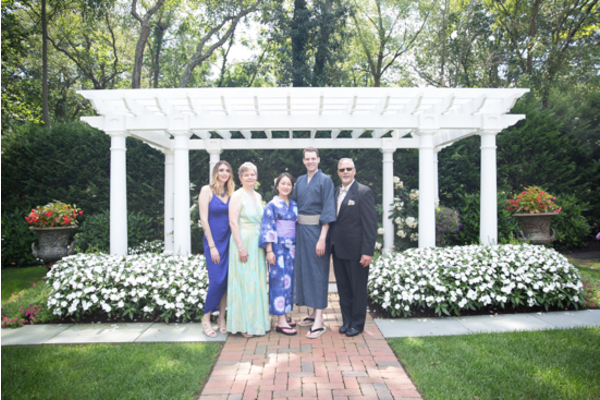 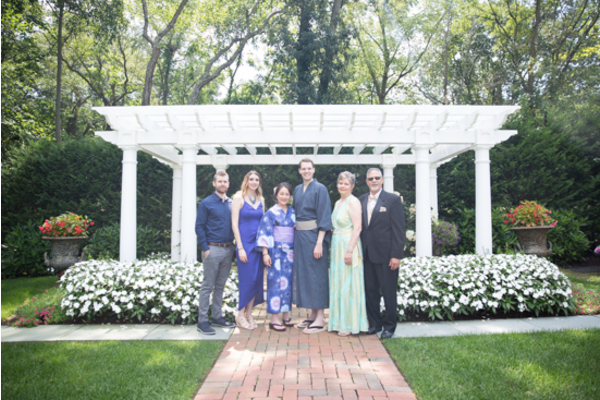 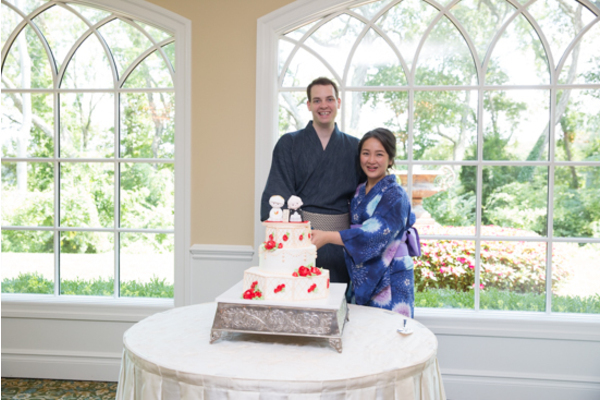 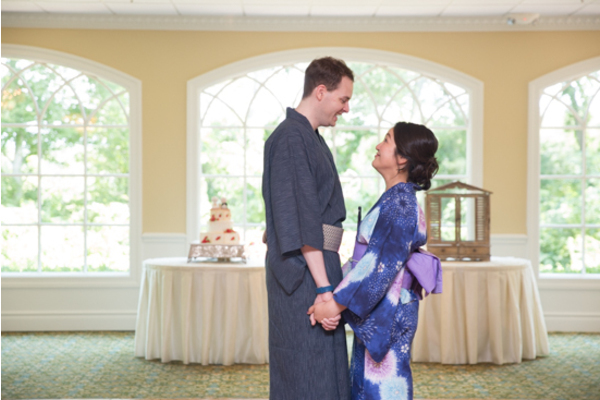 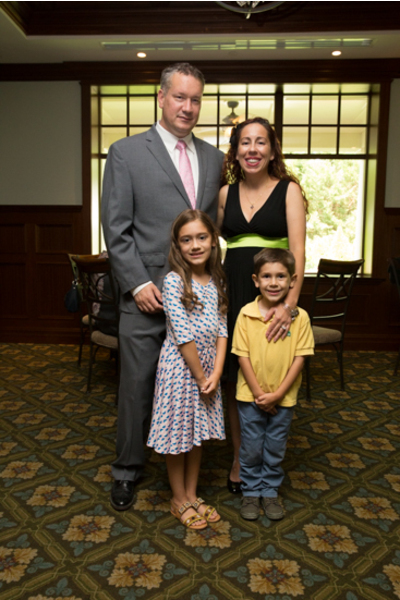 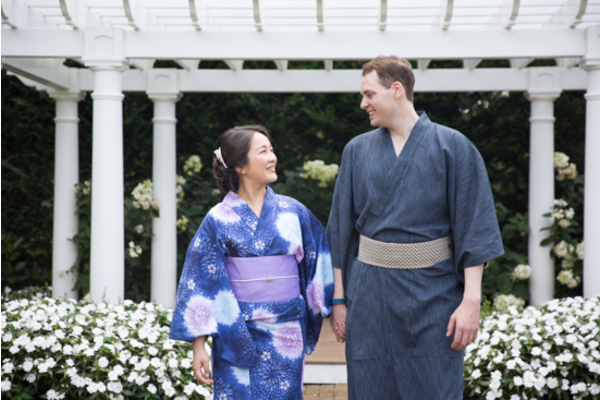 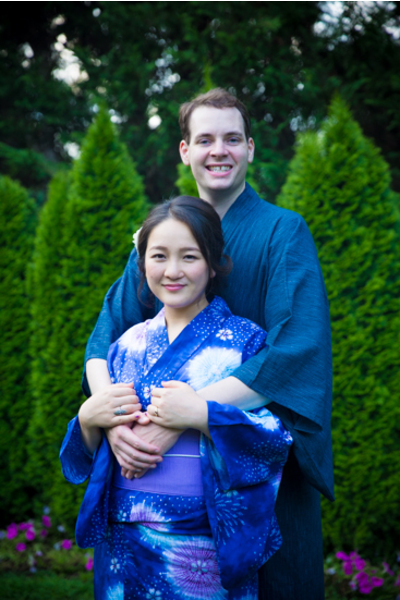 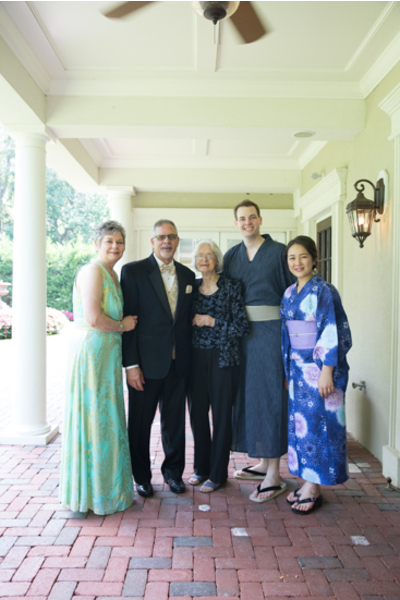 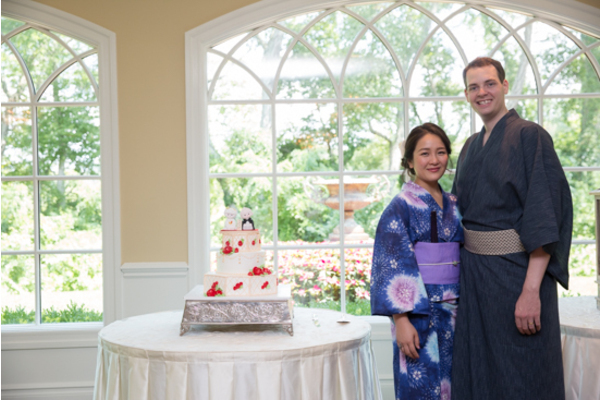 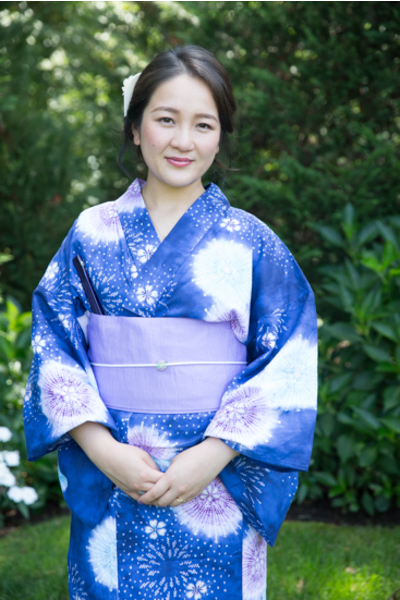 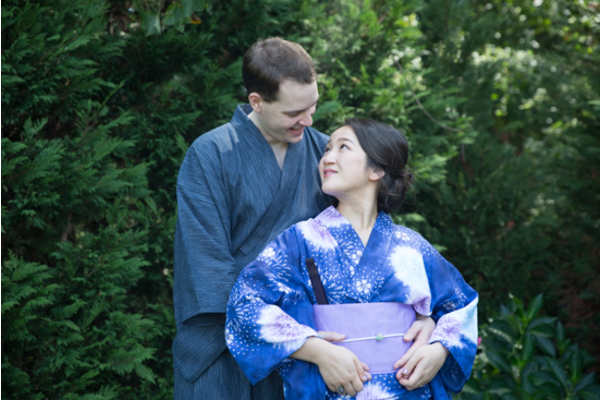 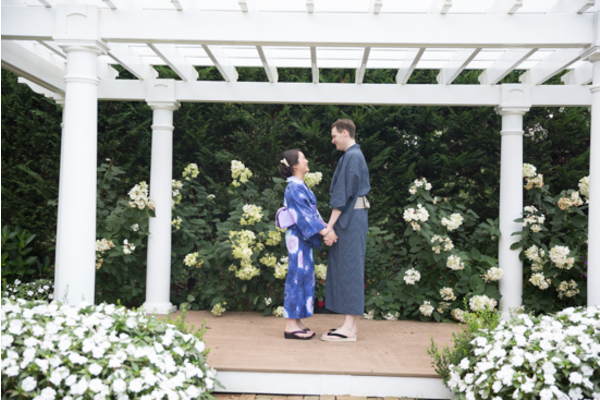 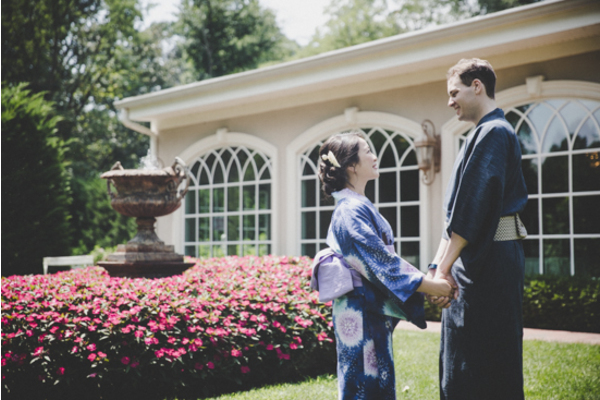 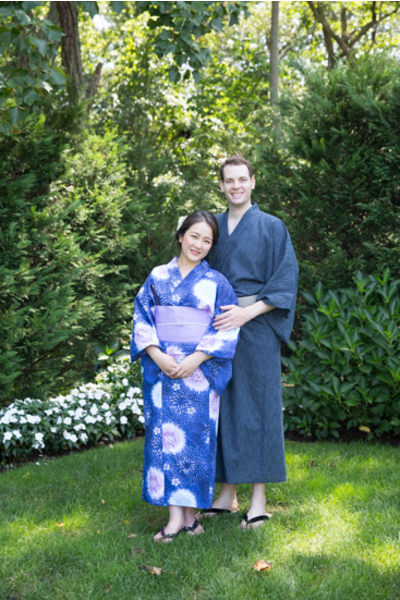 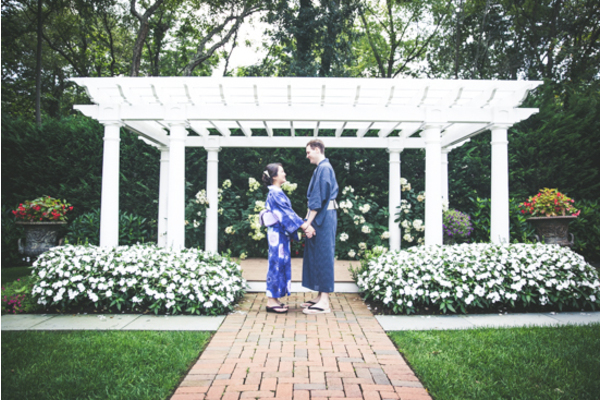 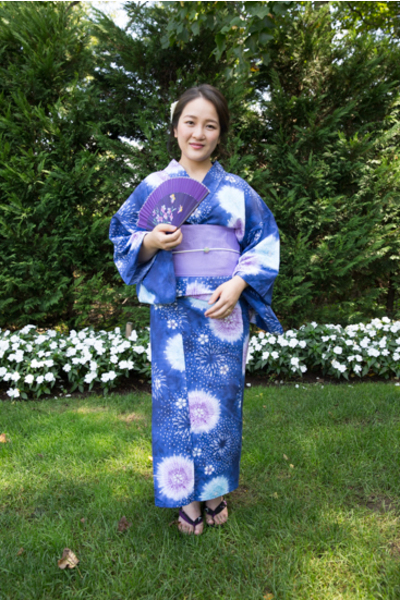 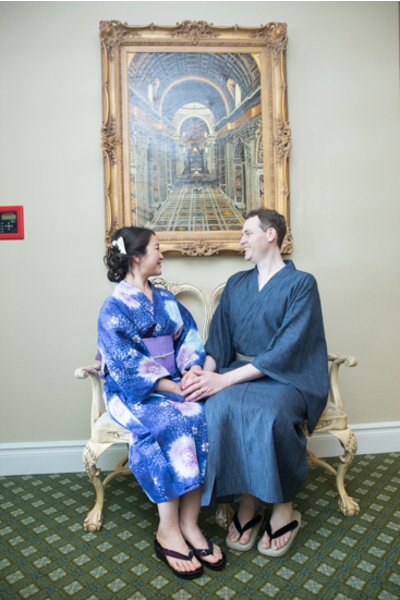 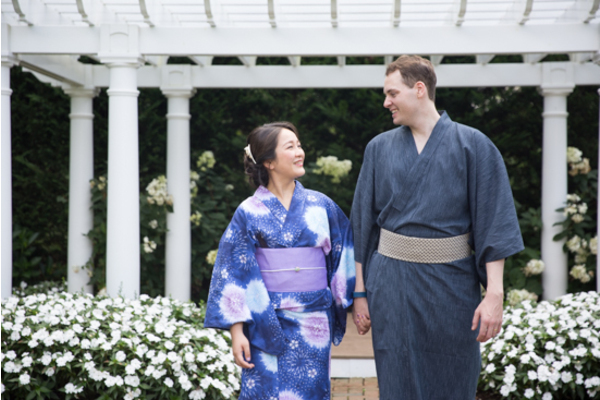 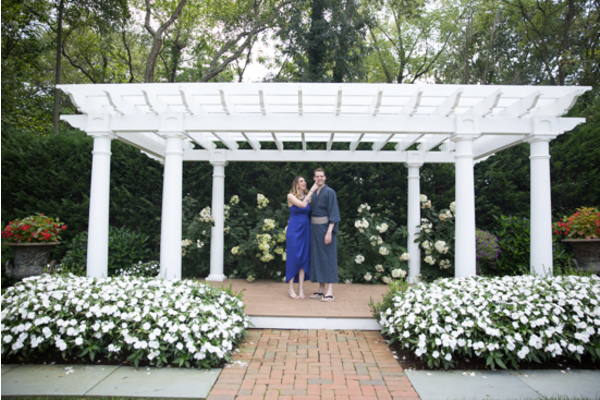 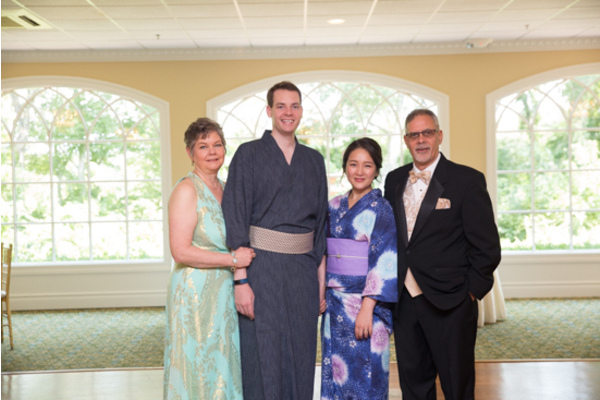 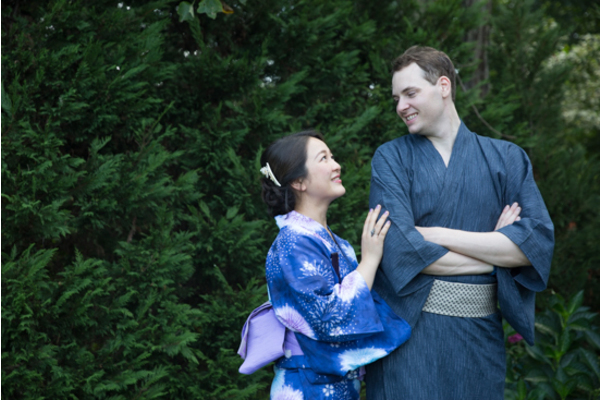 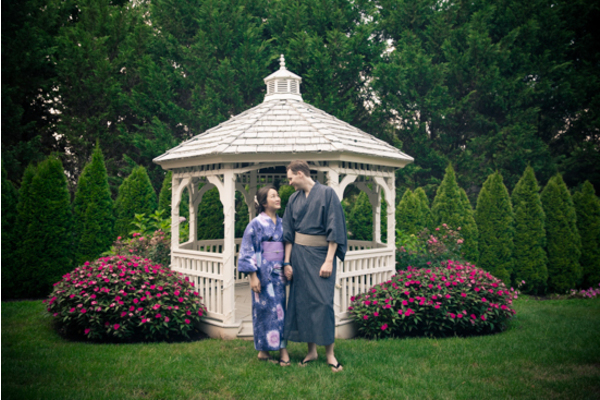 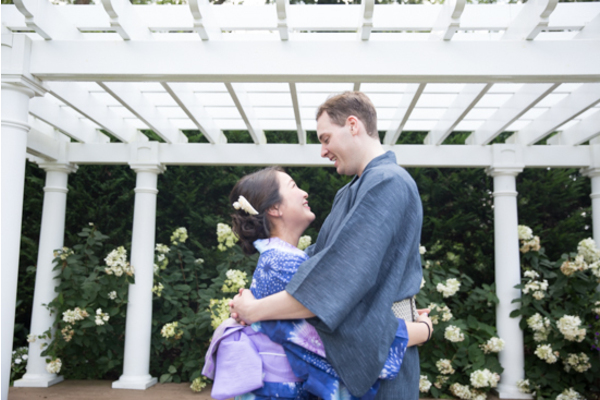 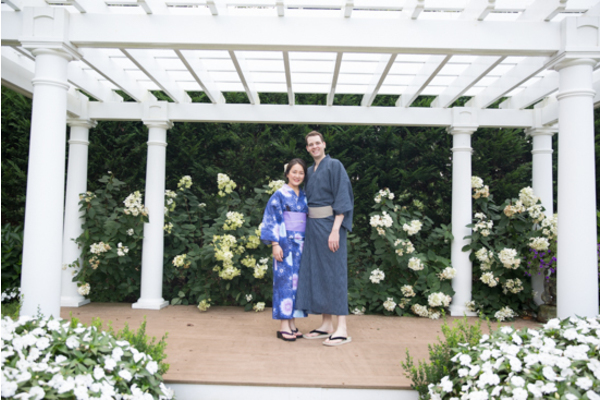 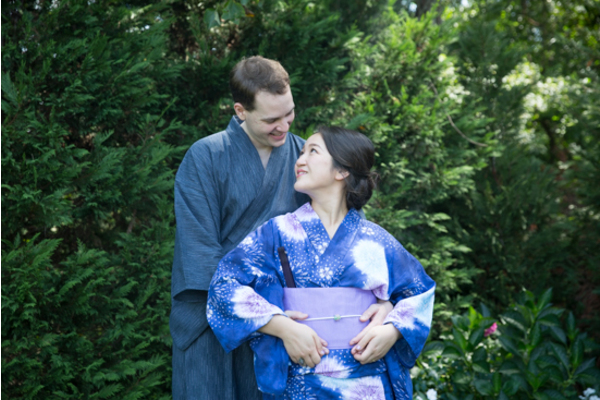 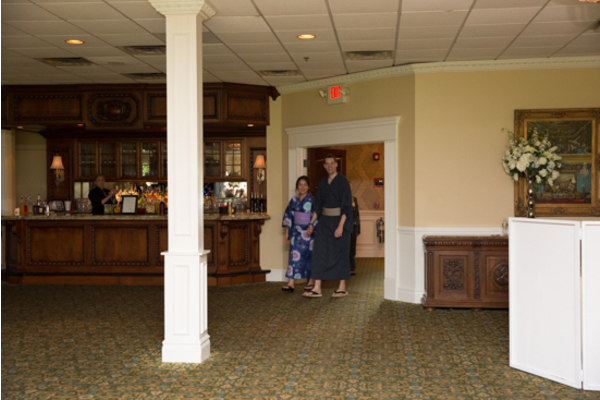 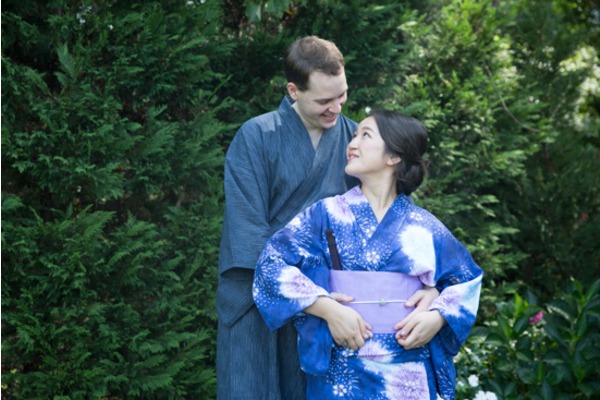 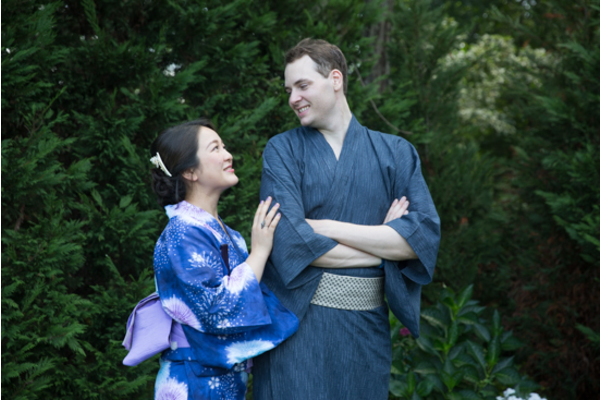 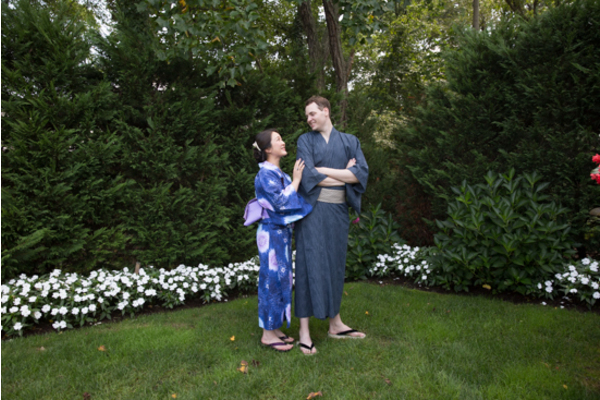 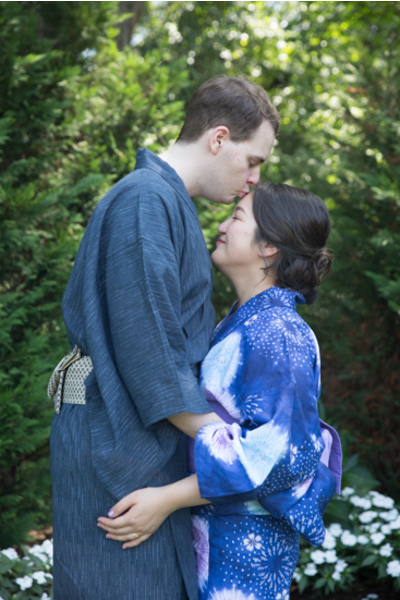 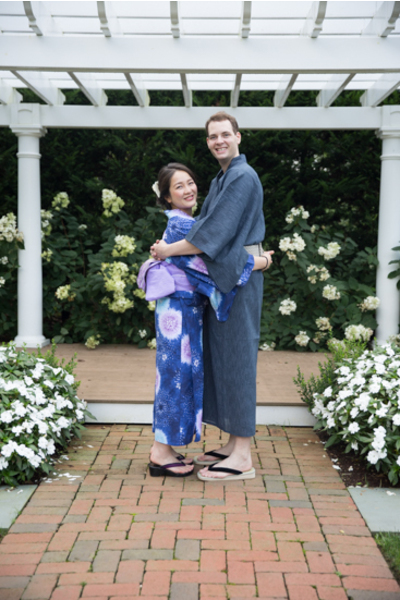 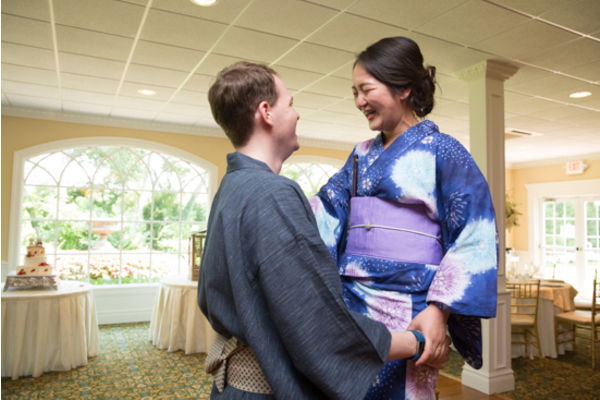 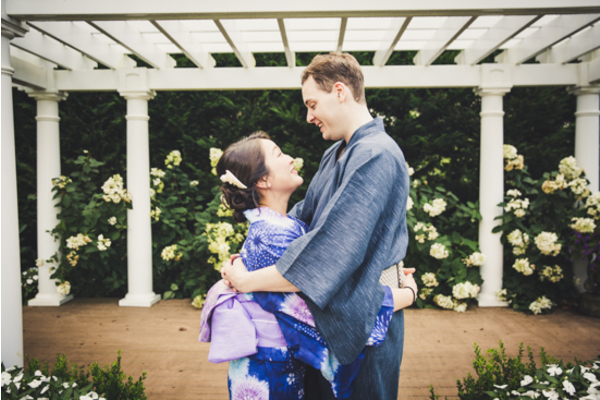 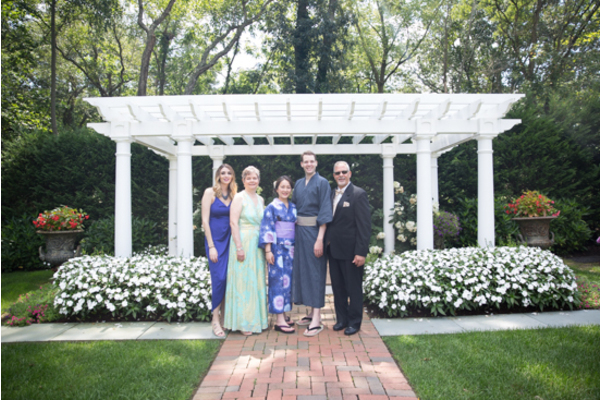 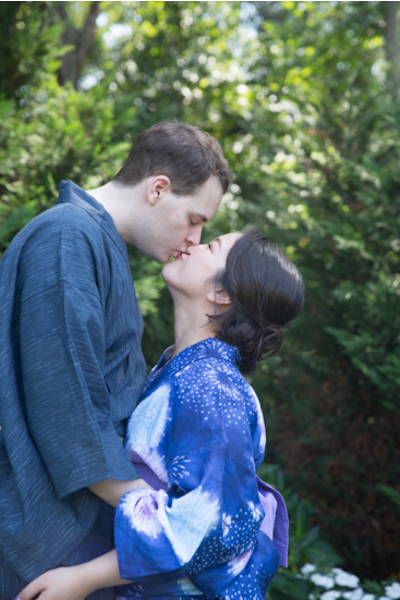 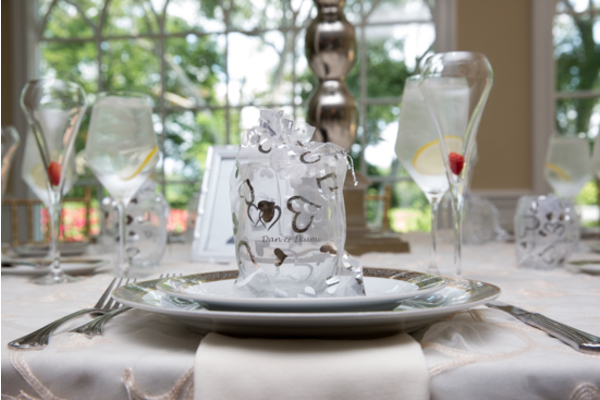 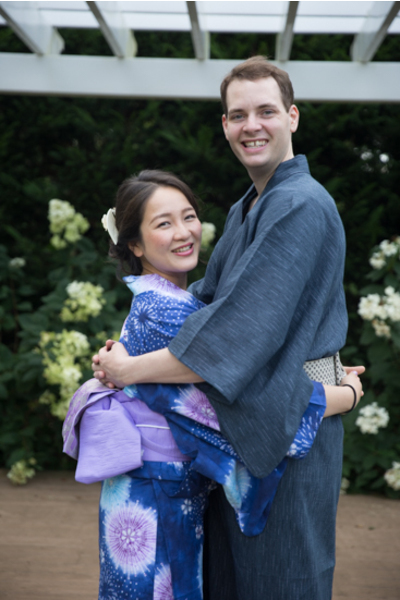 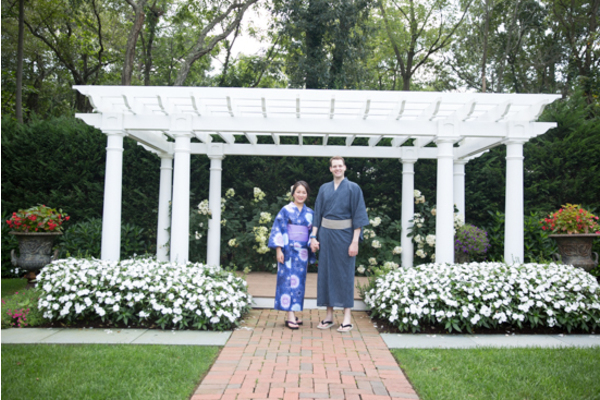 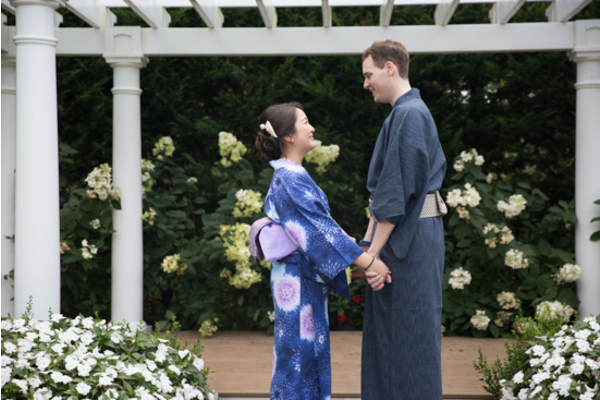 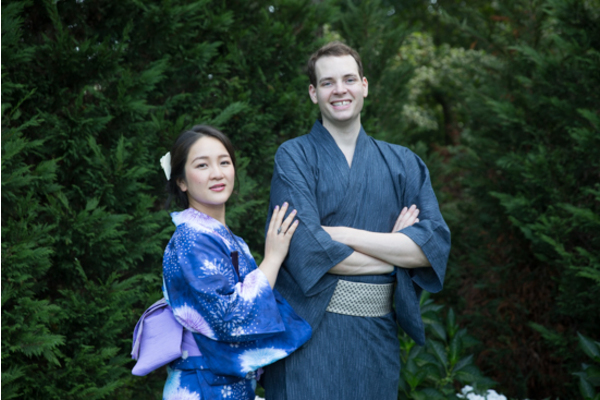 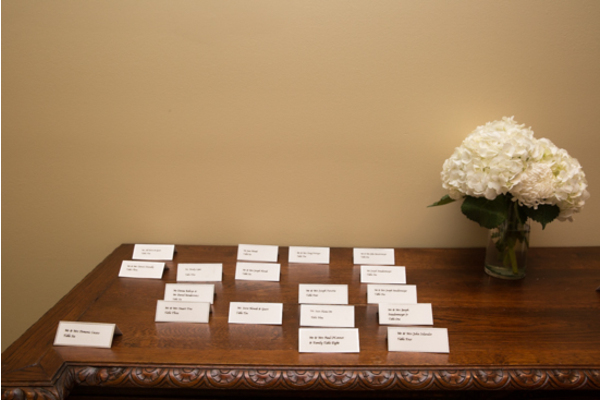 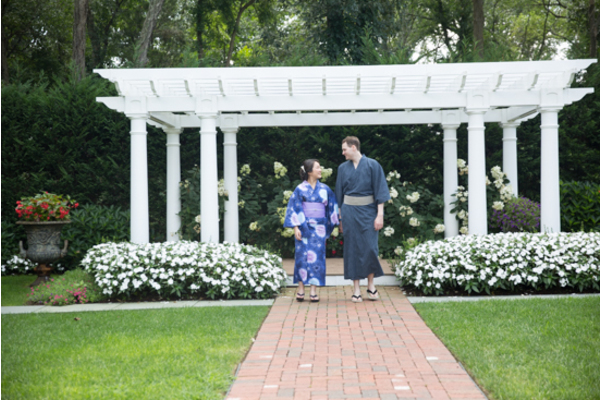 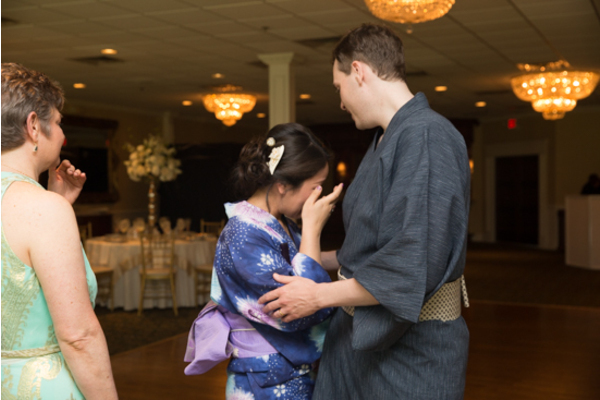 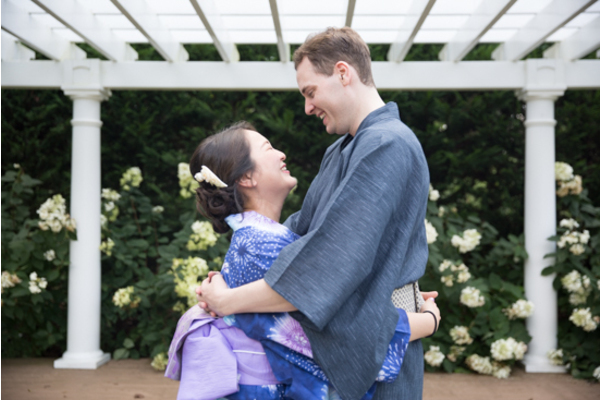 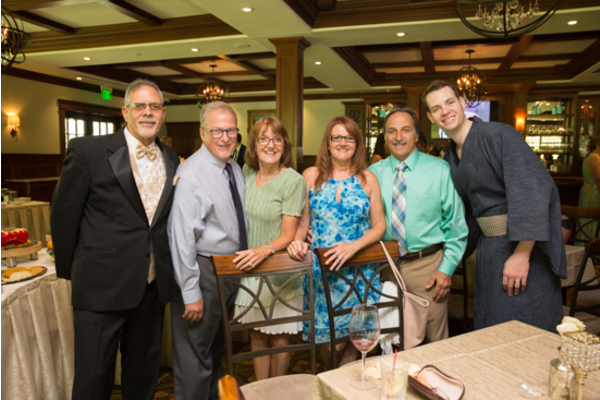 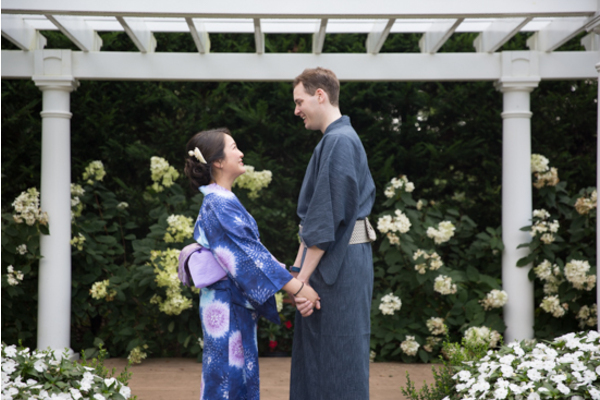 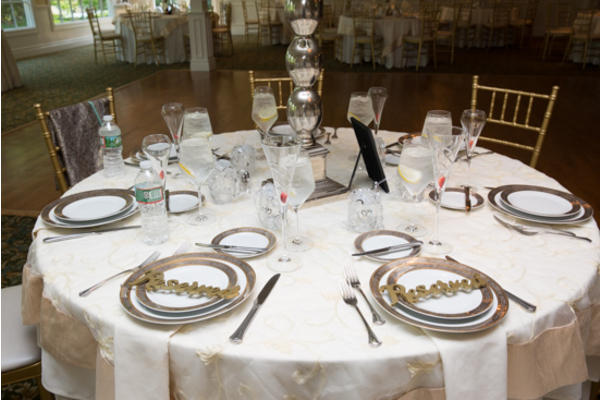 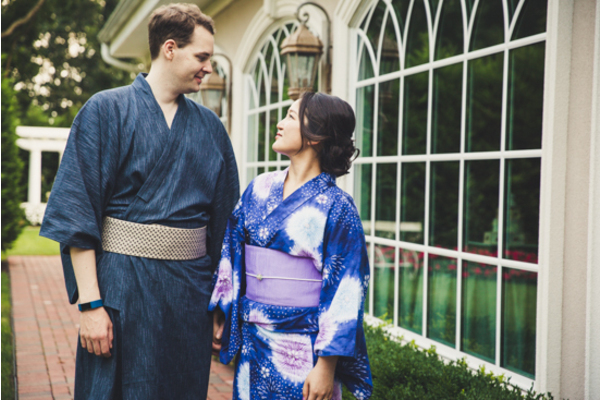 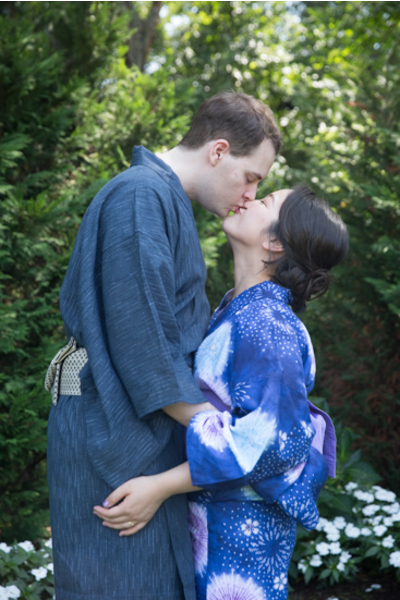 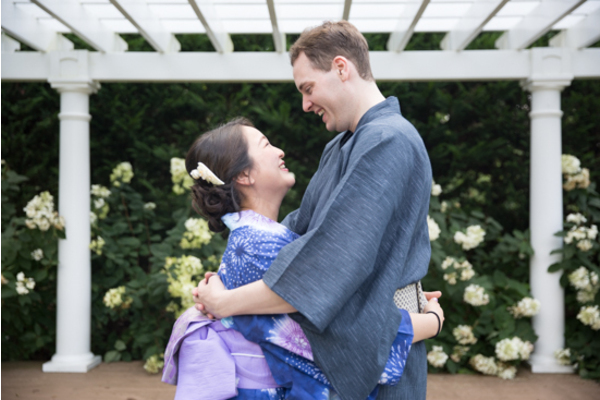 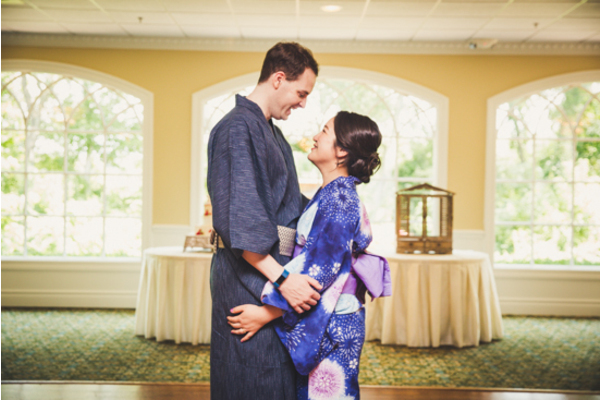 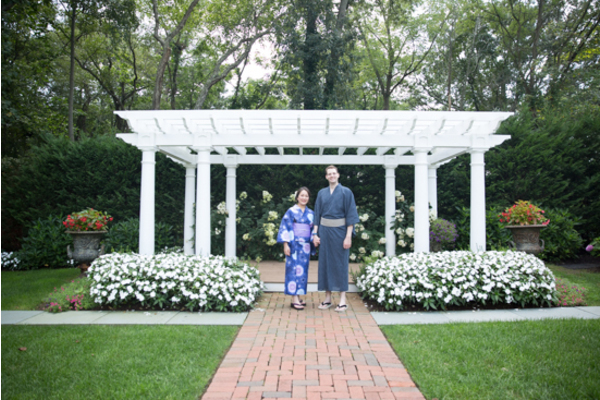 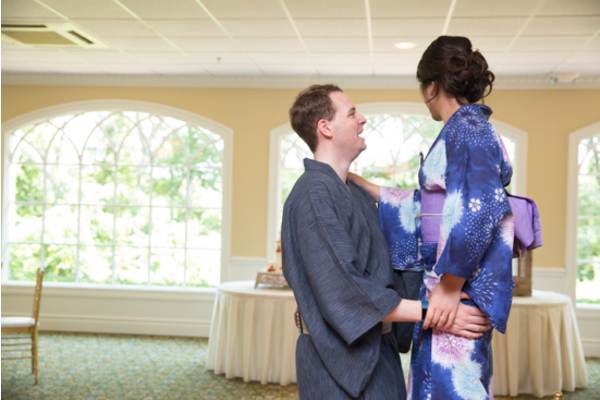 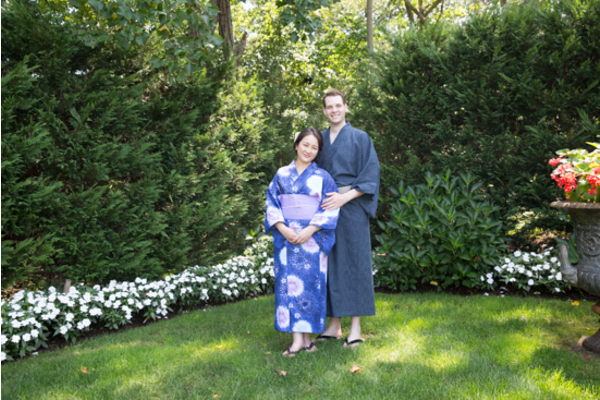 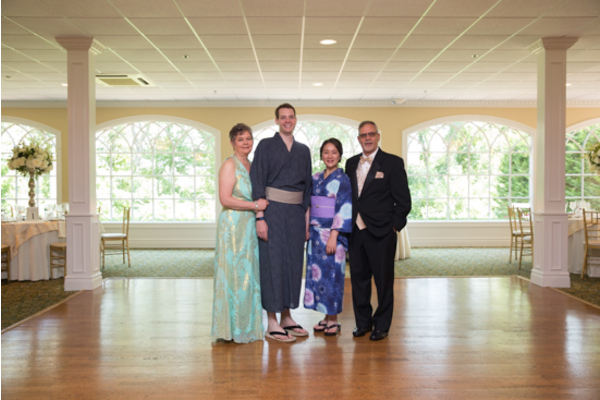 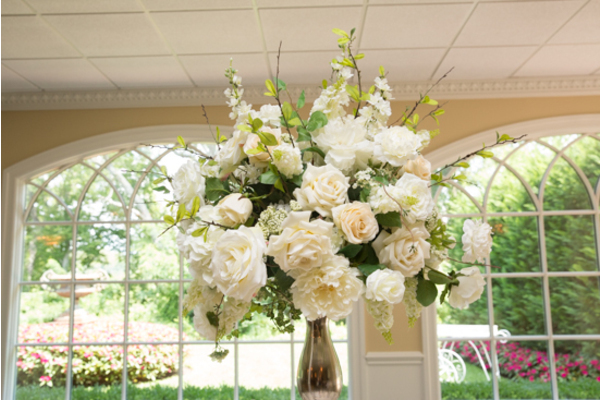 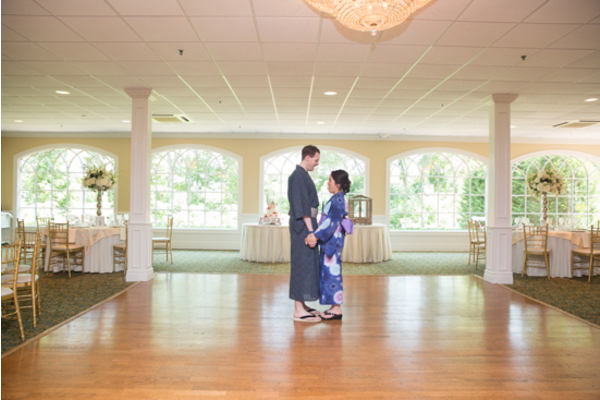 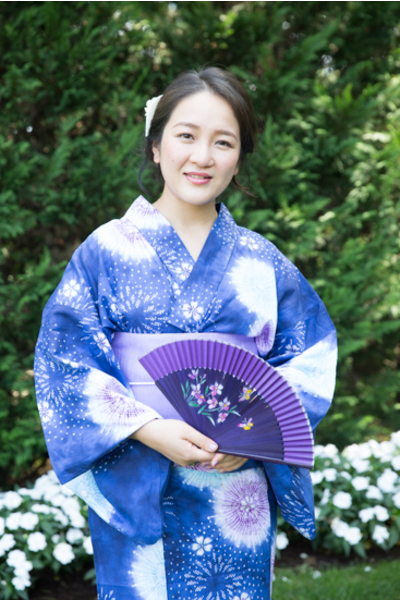 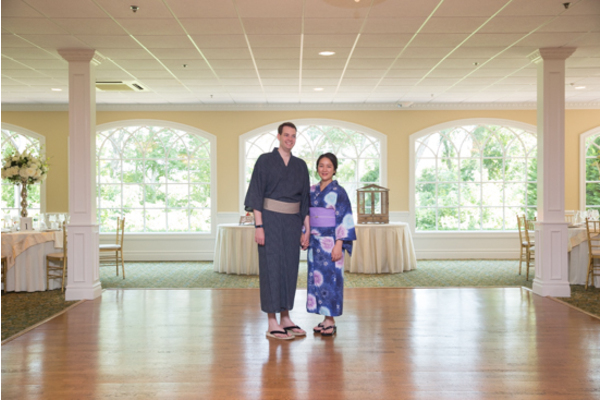 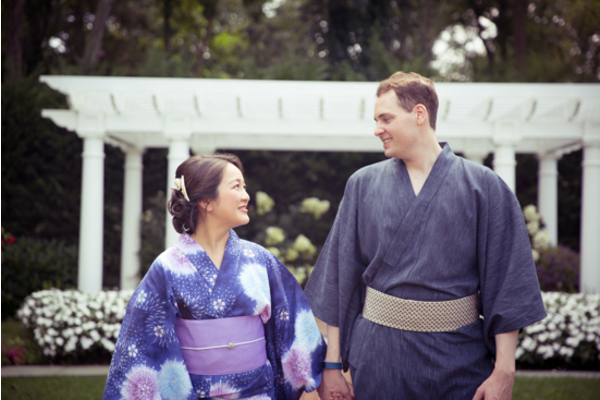 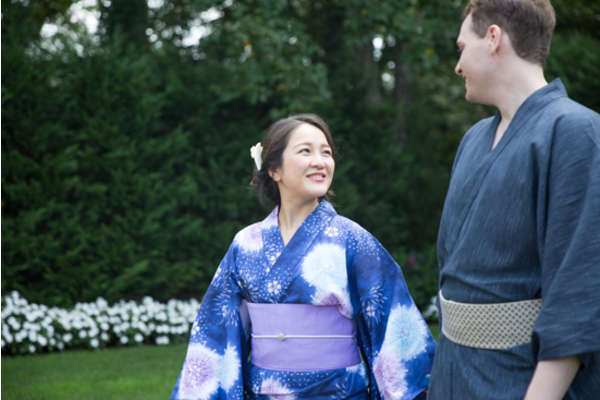 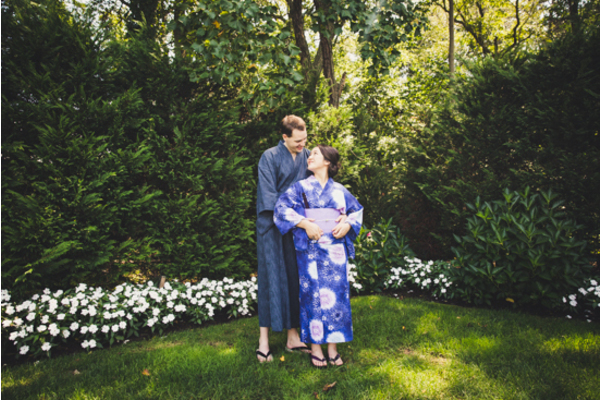 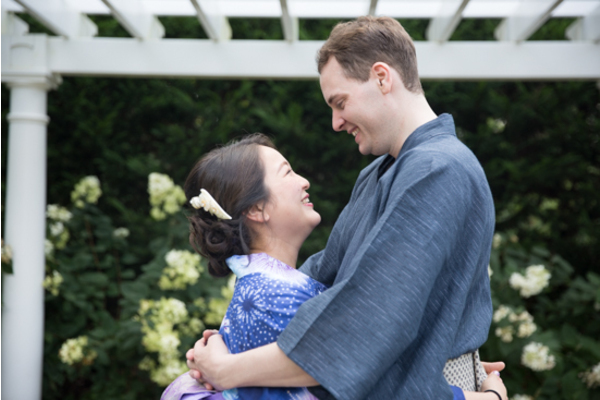 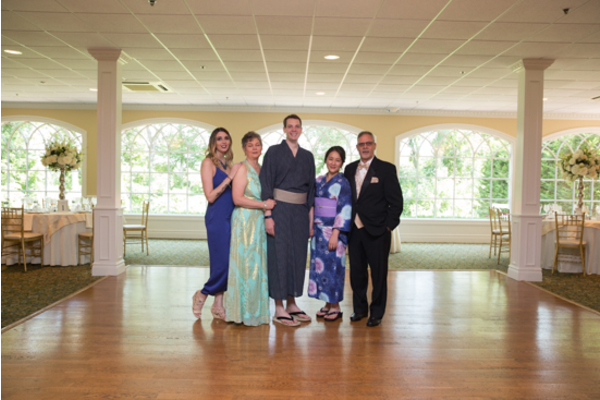 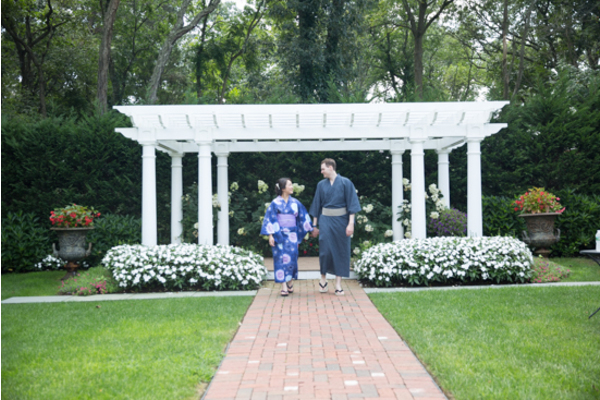 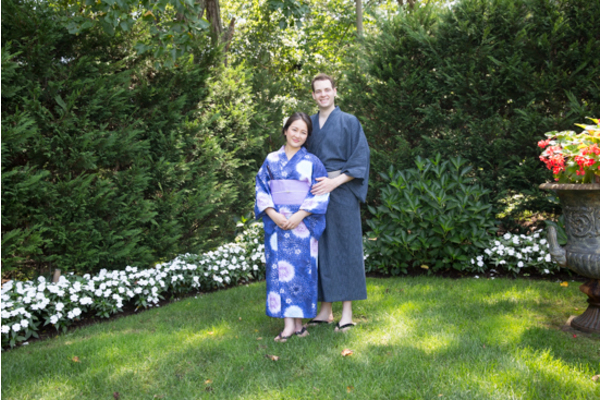 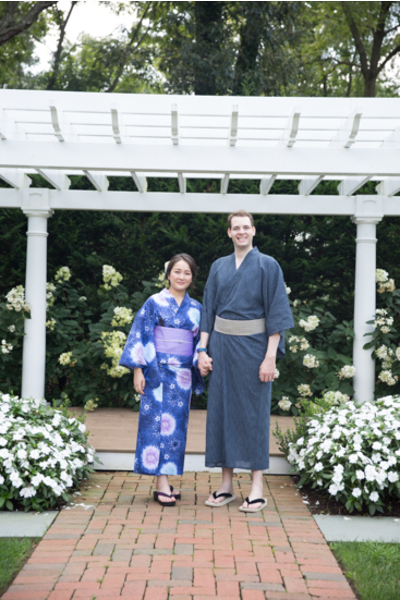 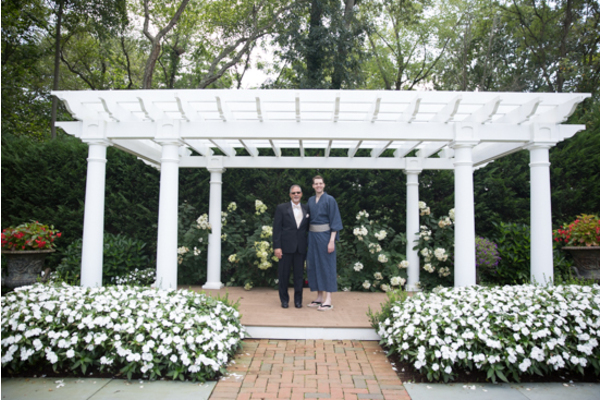 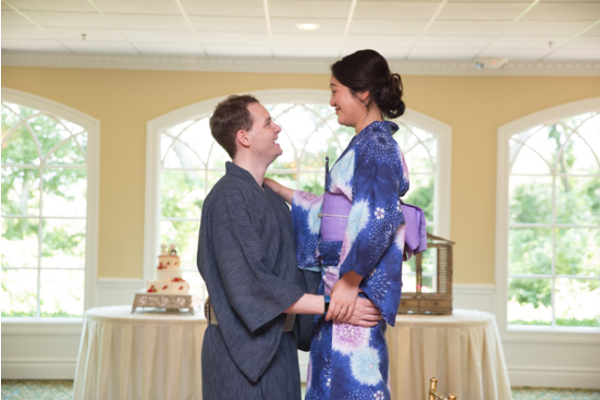 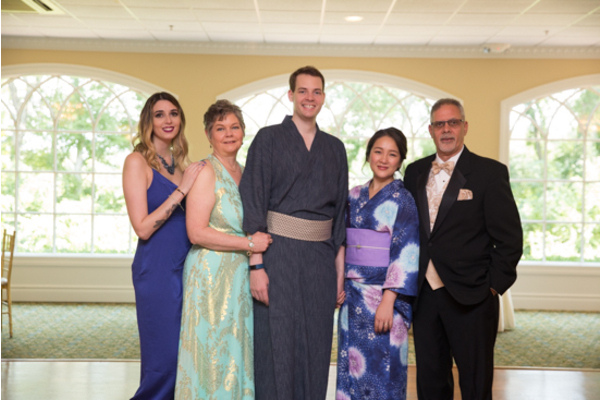 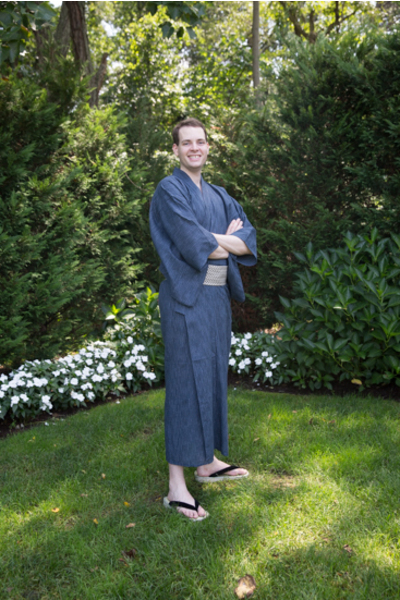 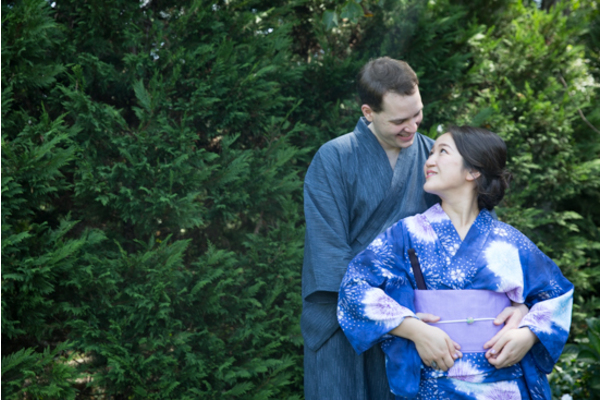 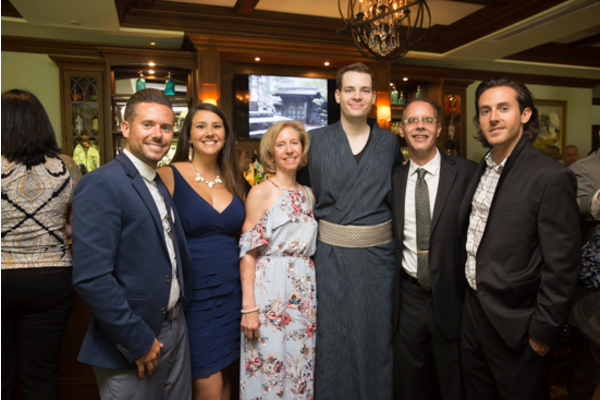 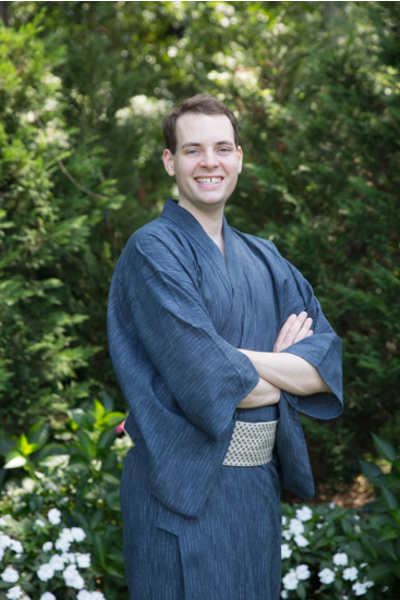 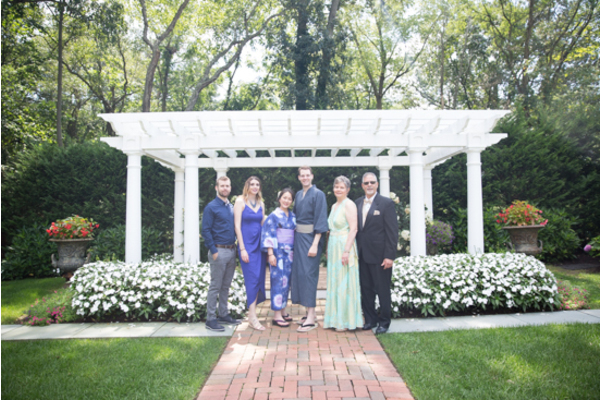 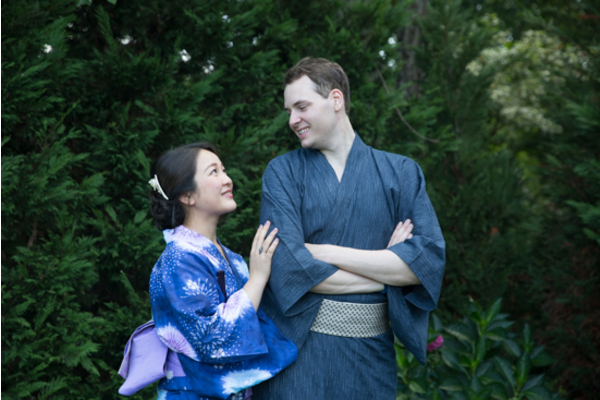 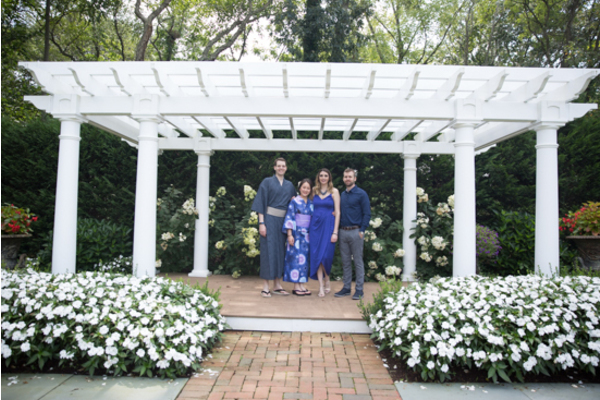 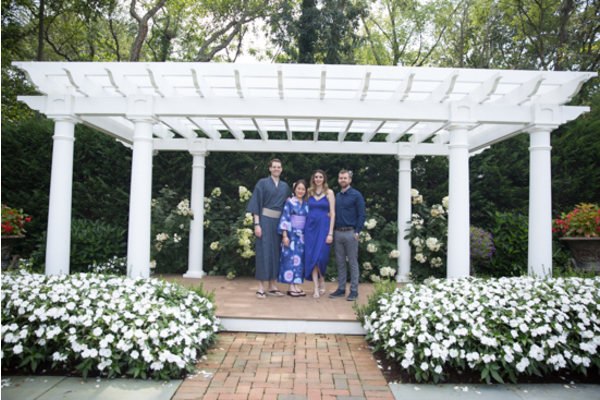 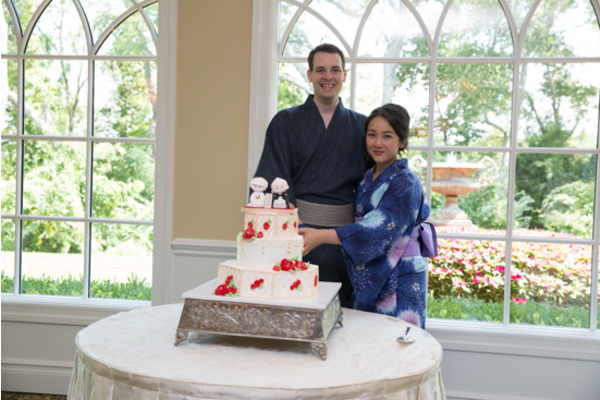 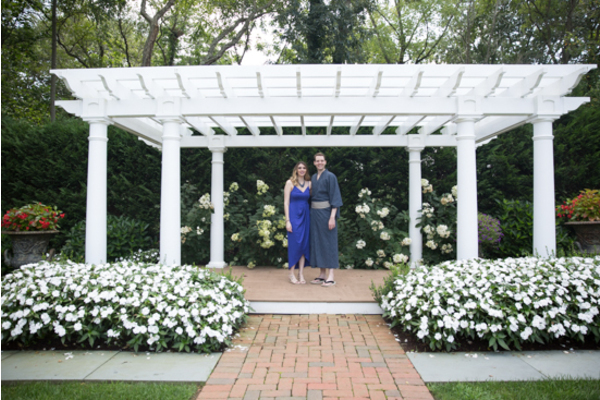 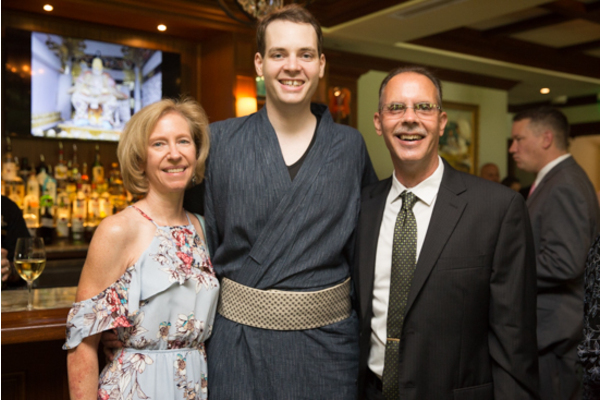 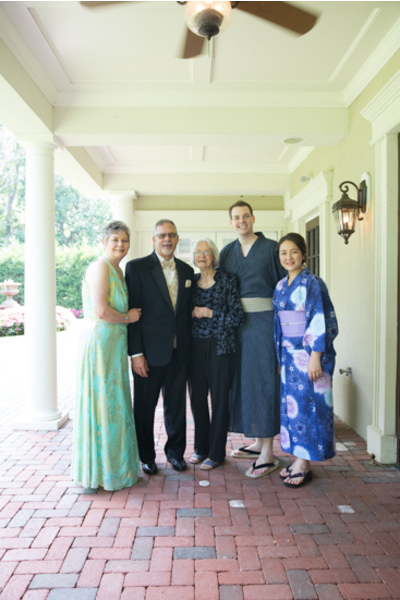 Thanks to our NJ Wedding Photographer, Ikumi and Daniel will cherish their wedding day from beginning to end! 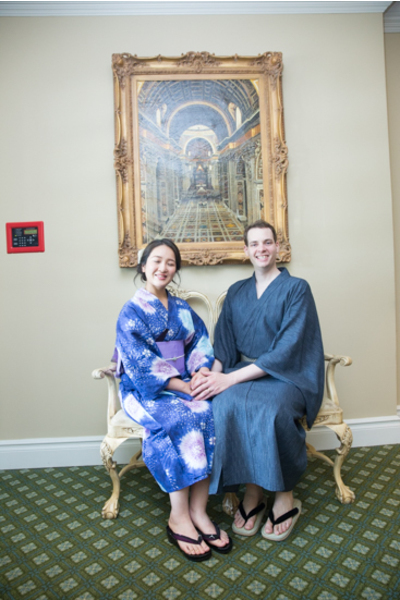 Congrats, again, to the happy couple! 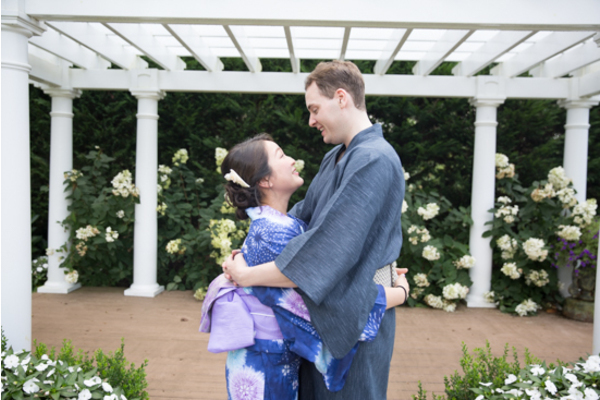 We wish you nothing but happiness in this next chapter of your lives!